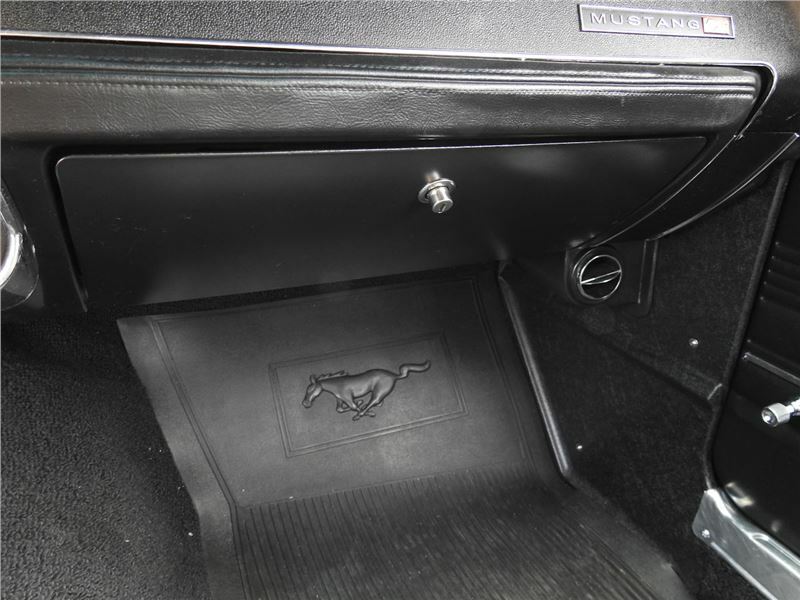 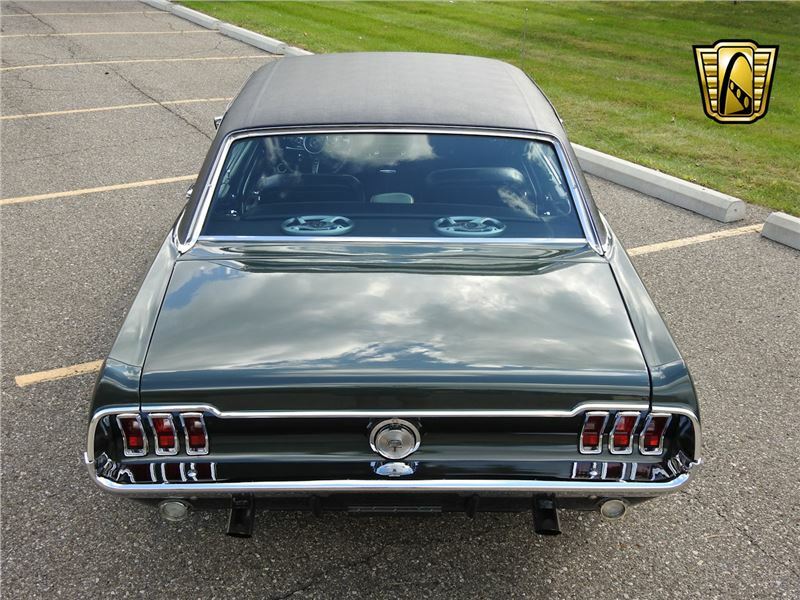 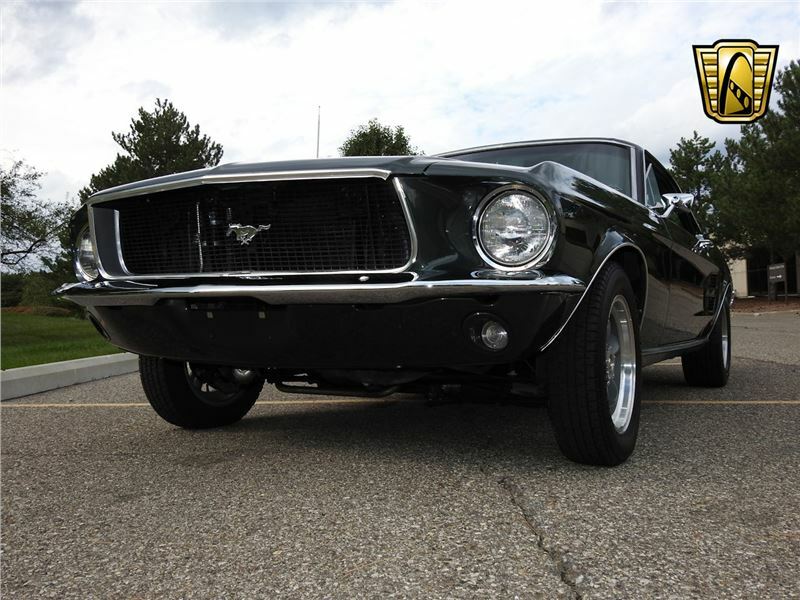 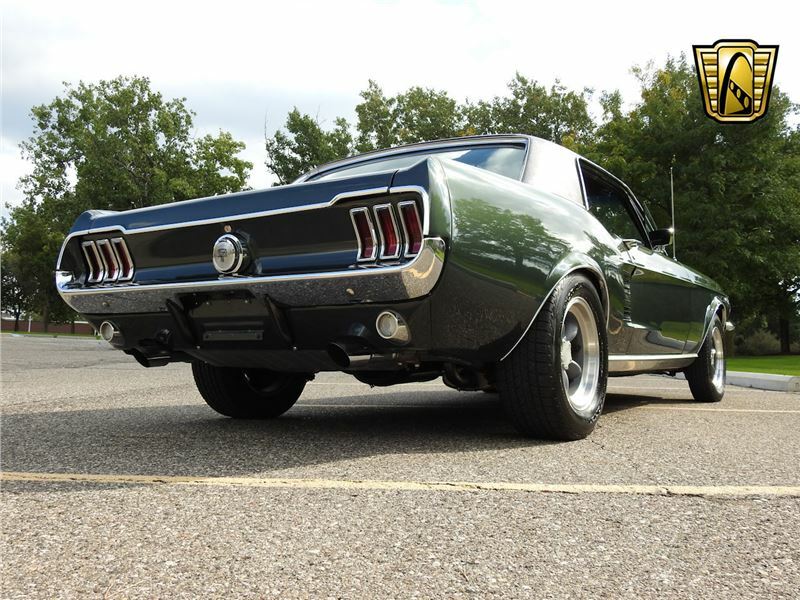 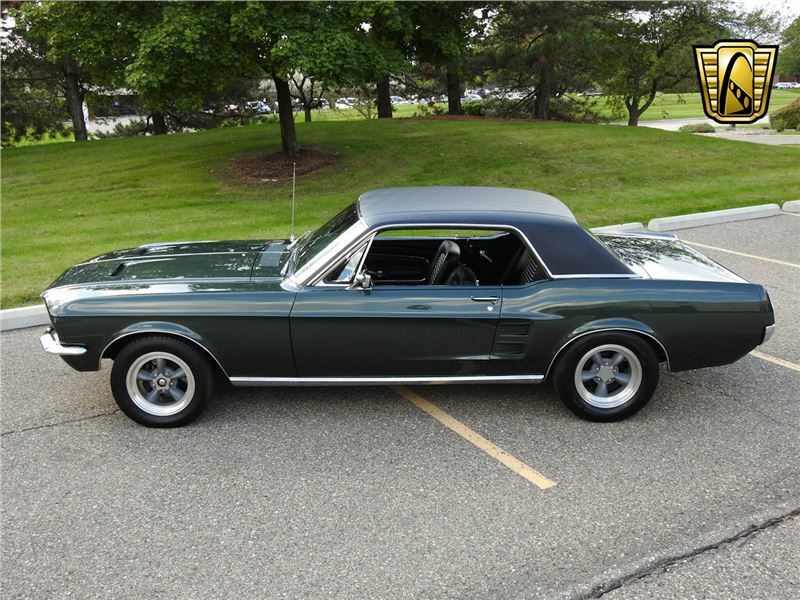 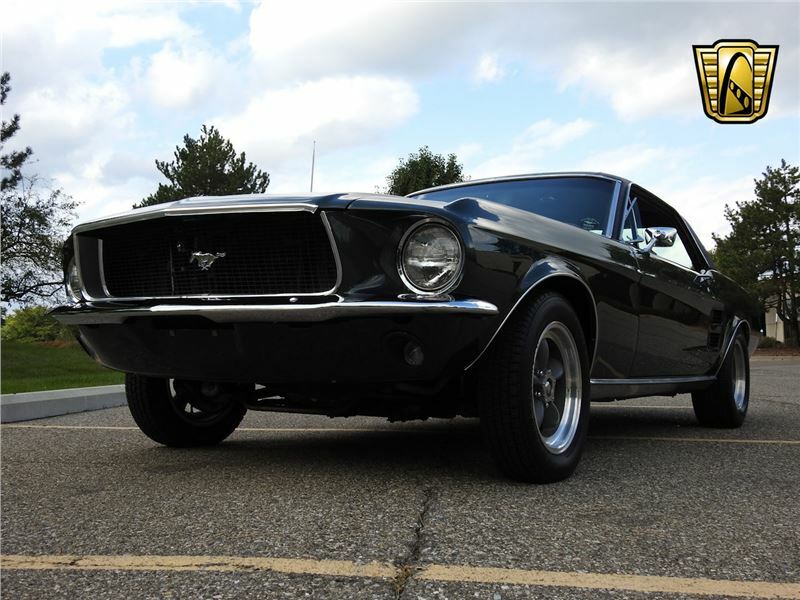 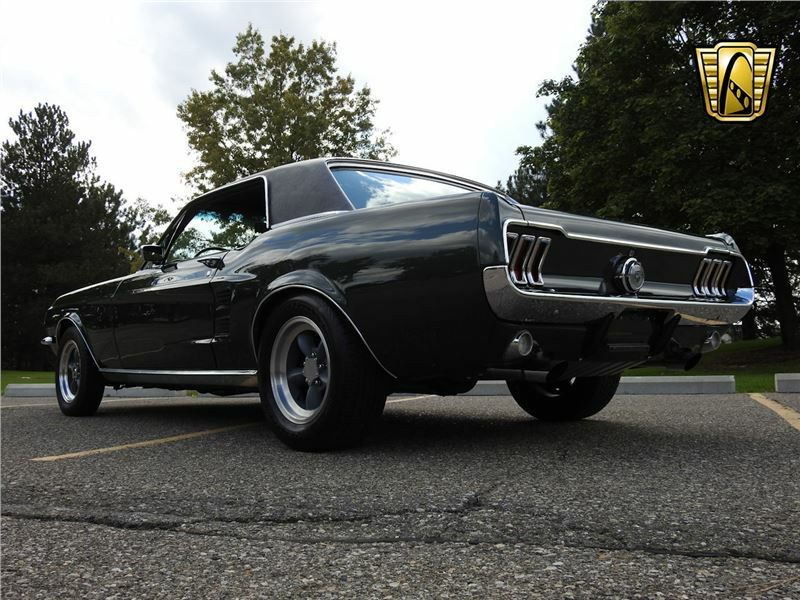 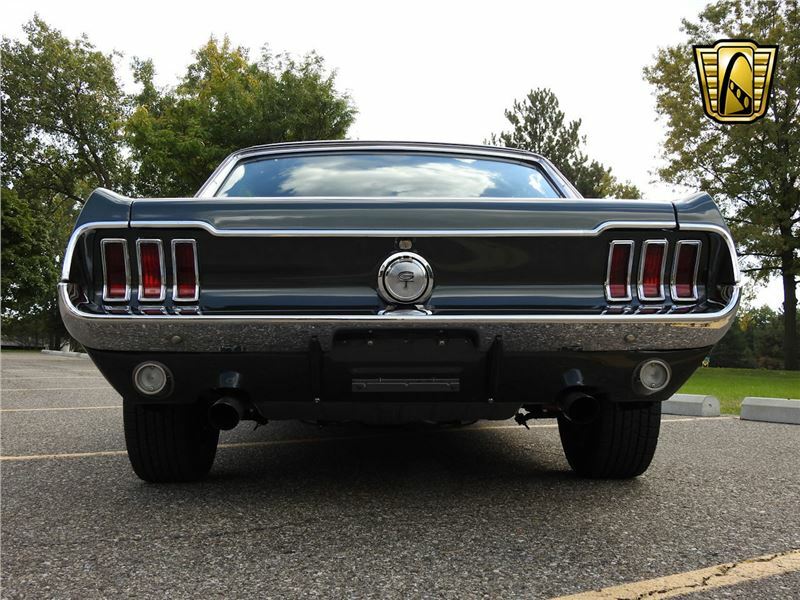 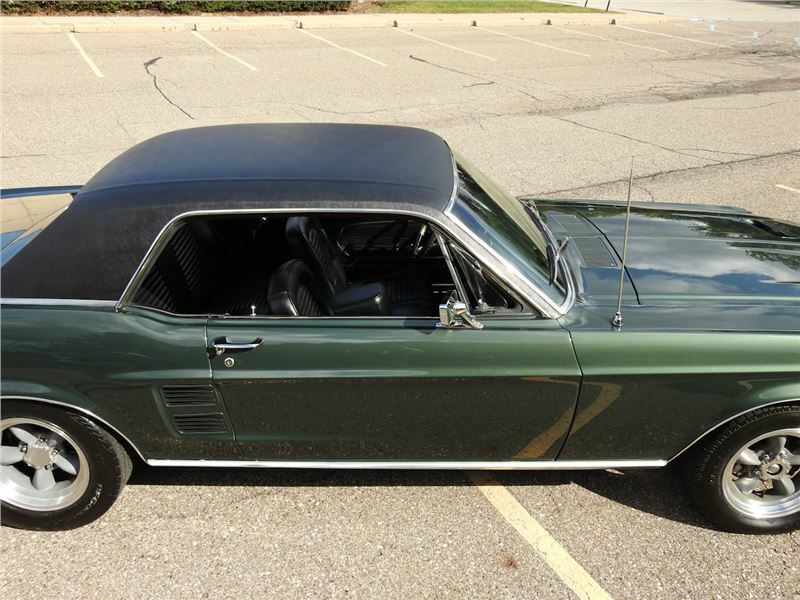 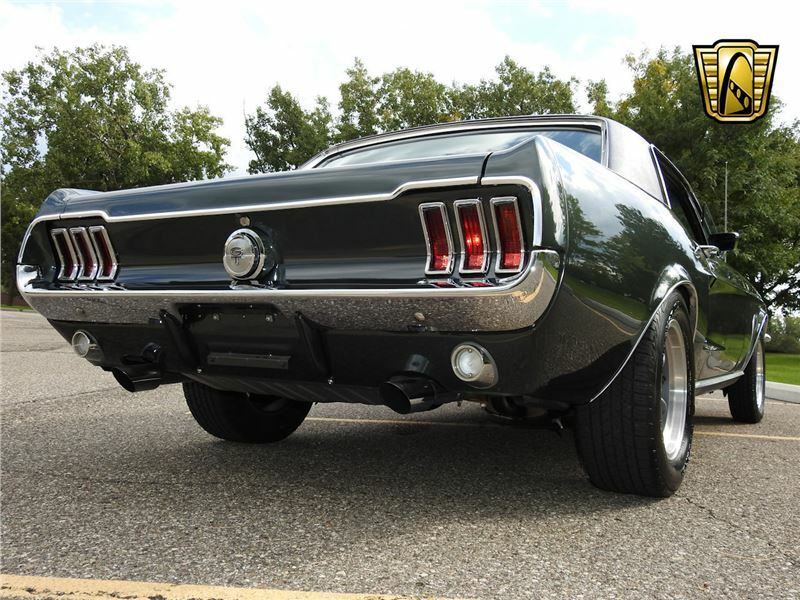 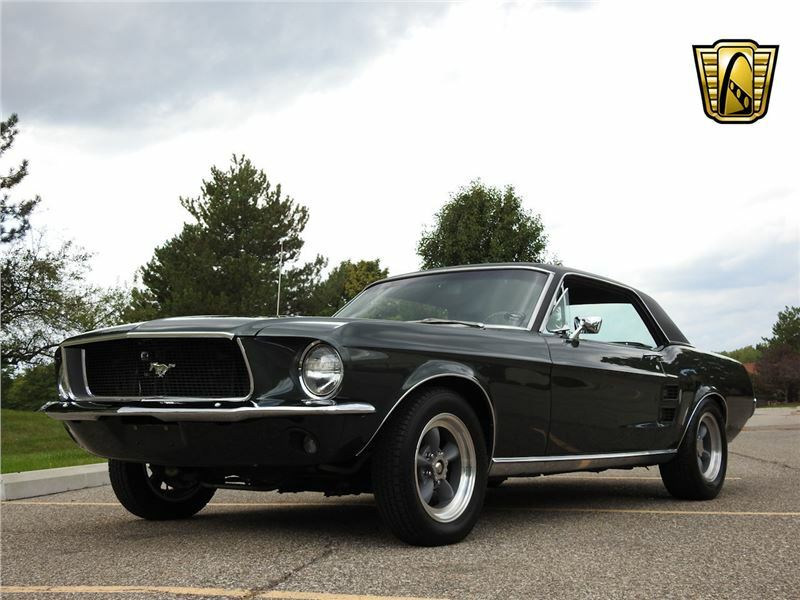 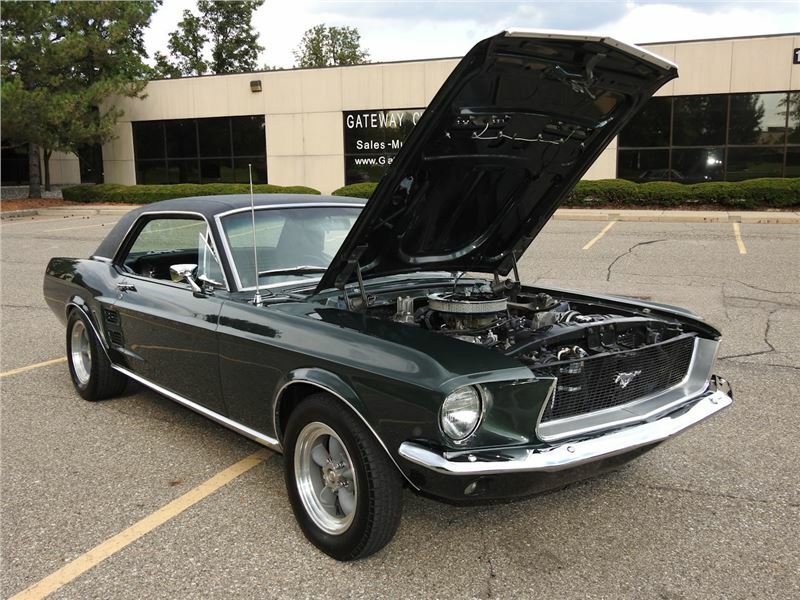 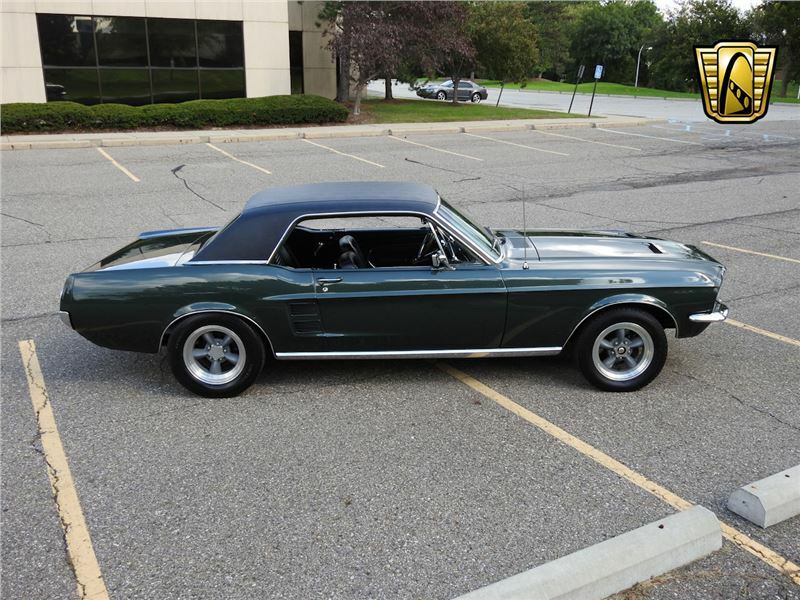 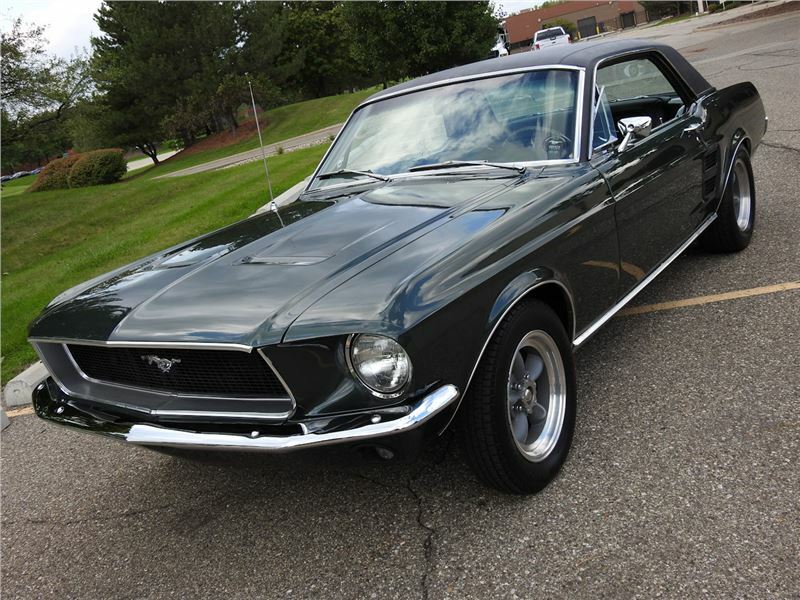 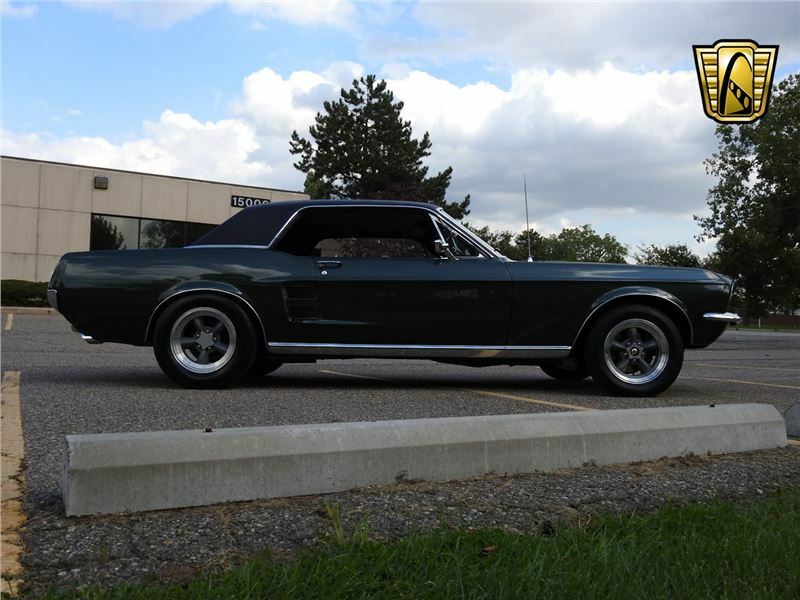 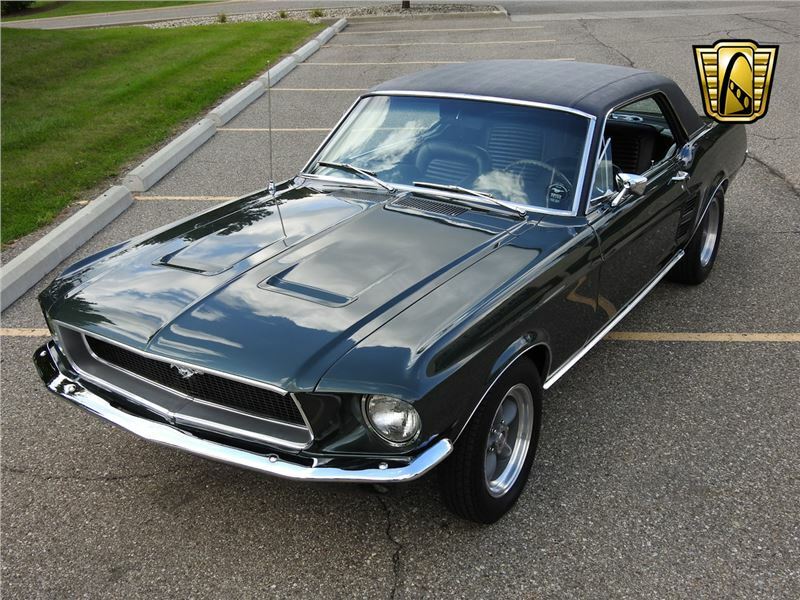 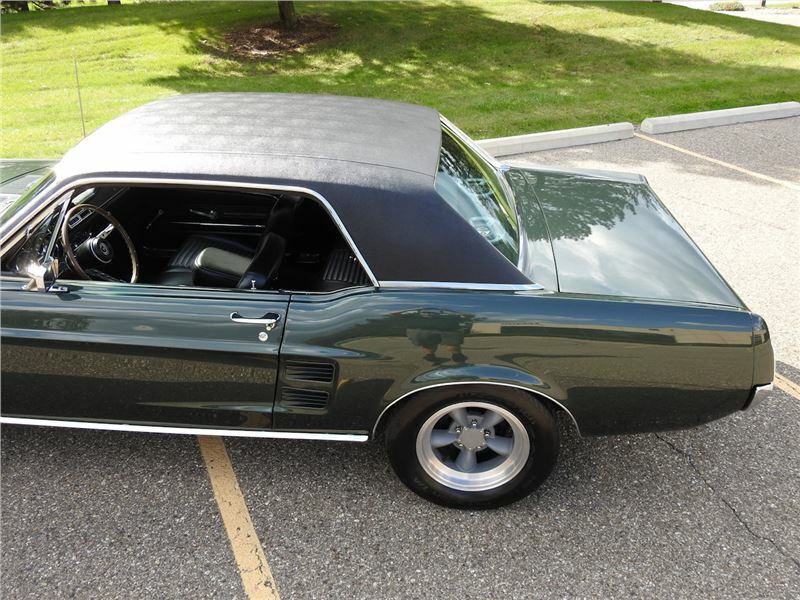 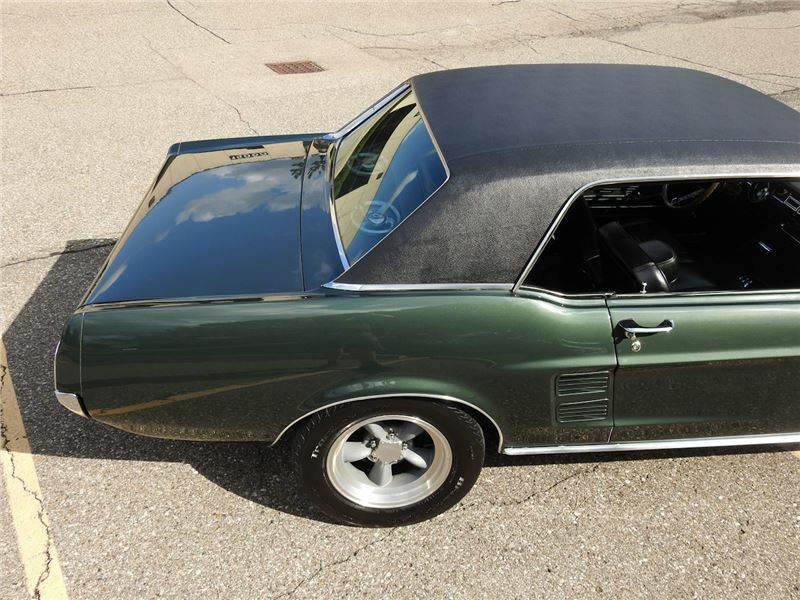 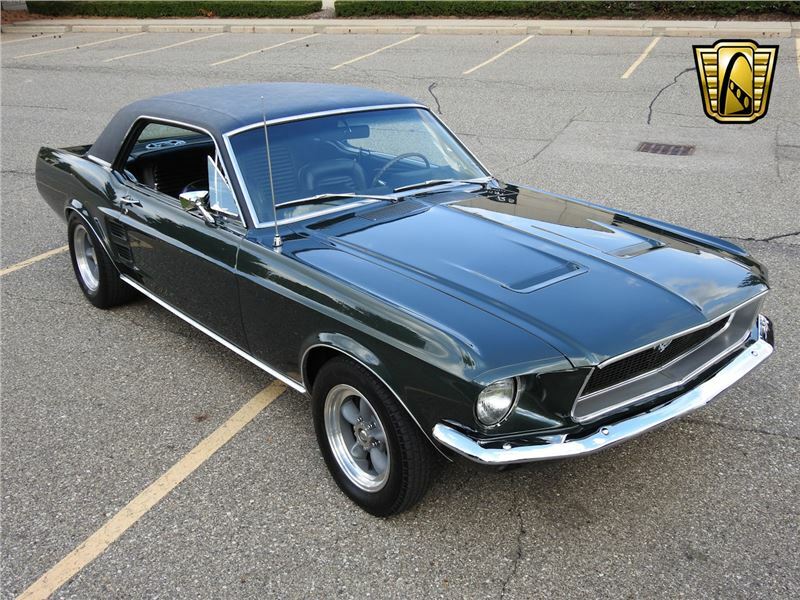 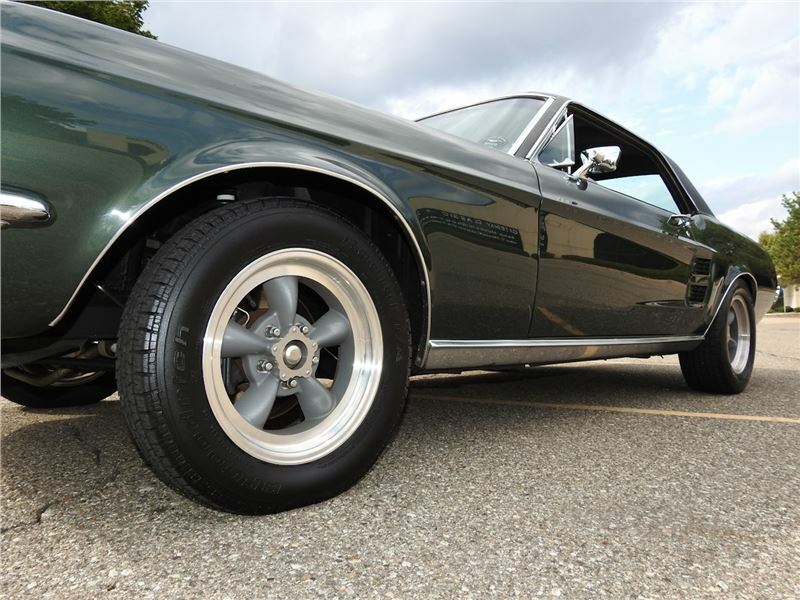 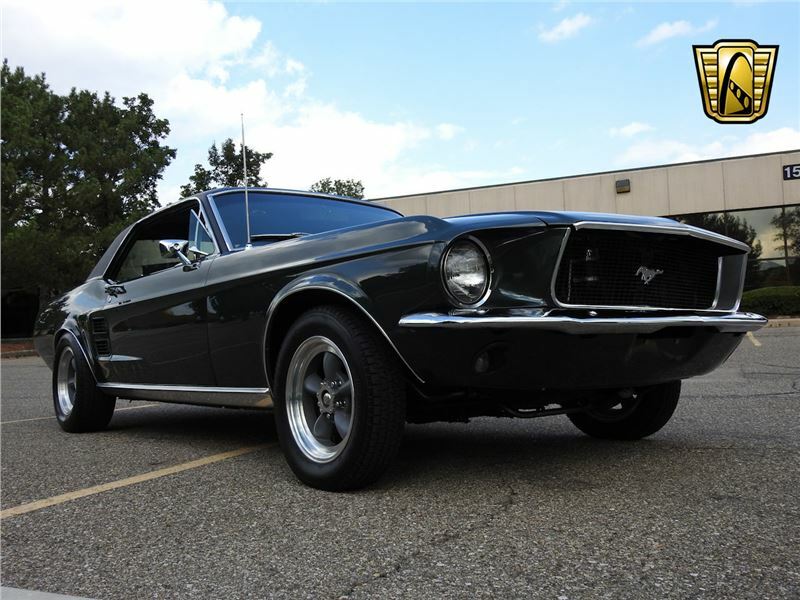 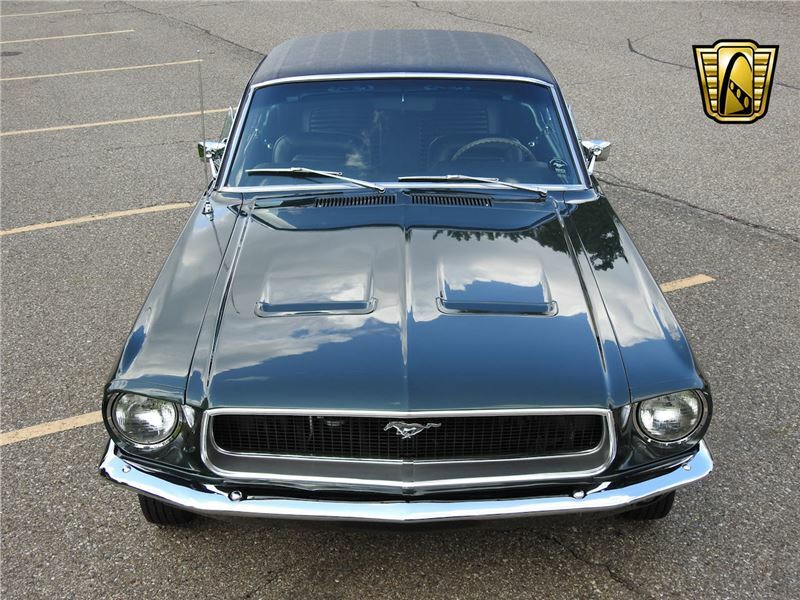 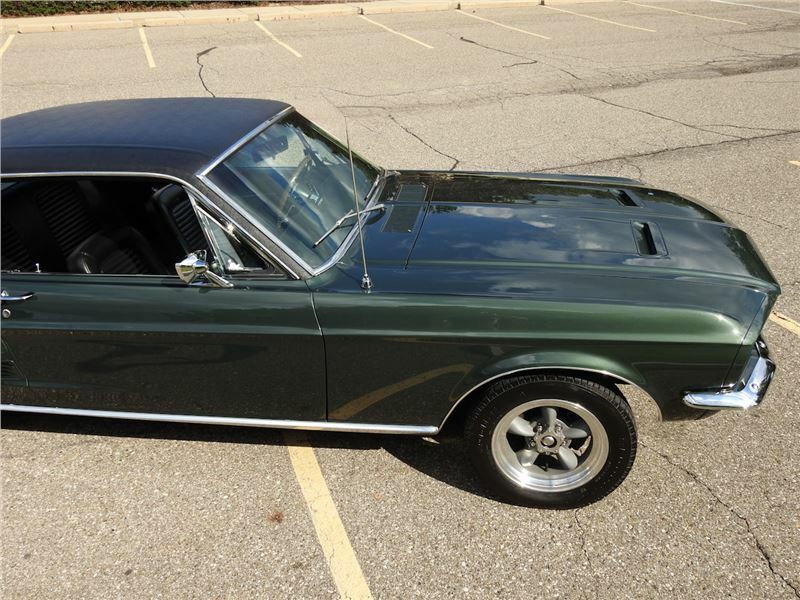 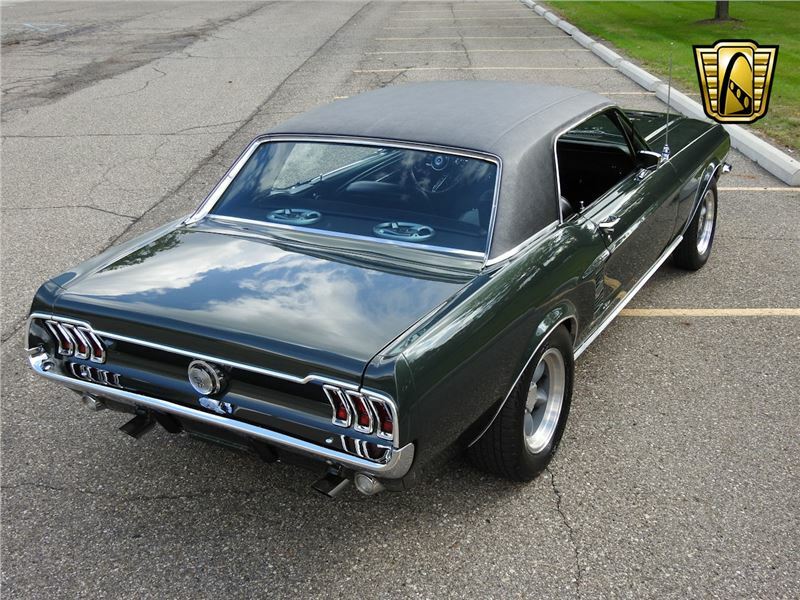 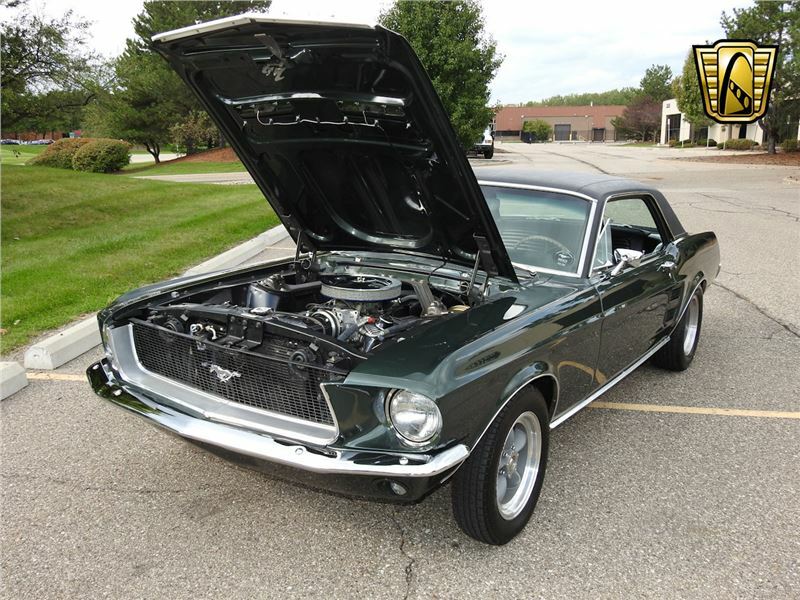 For sale in our Detroit showroom is this 1967 Ford Mustang. 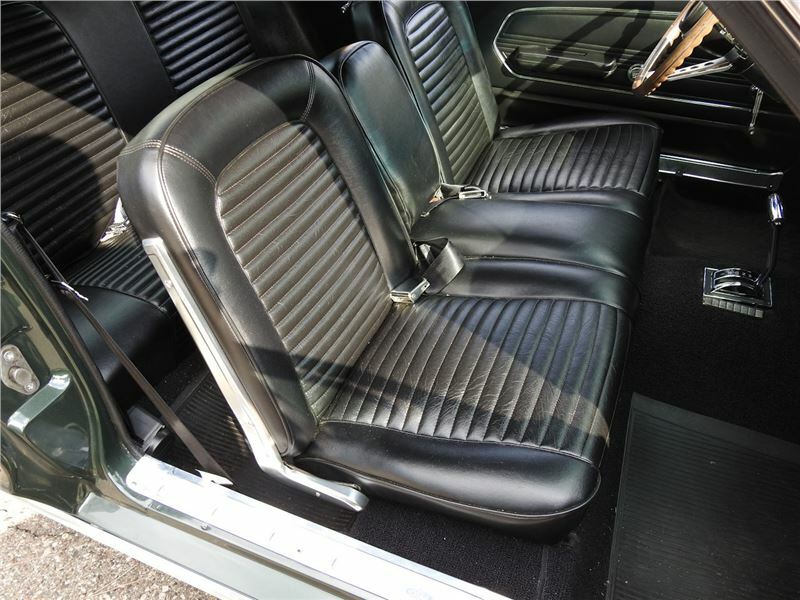 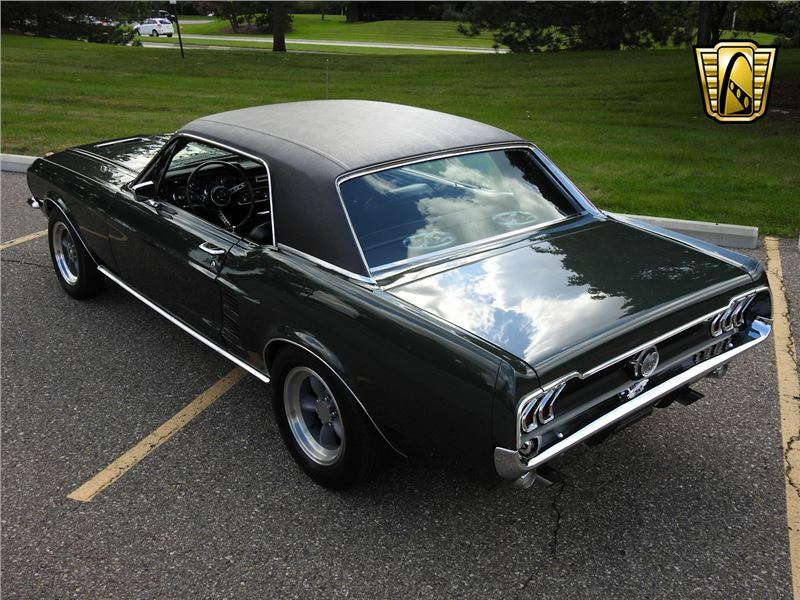 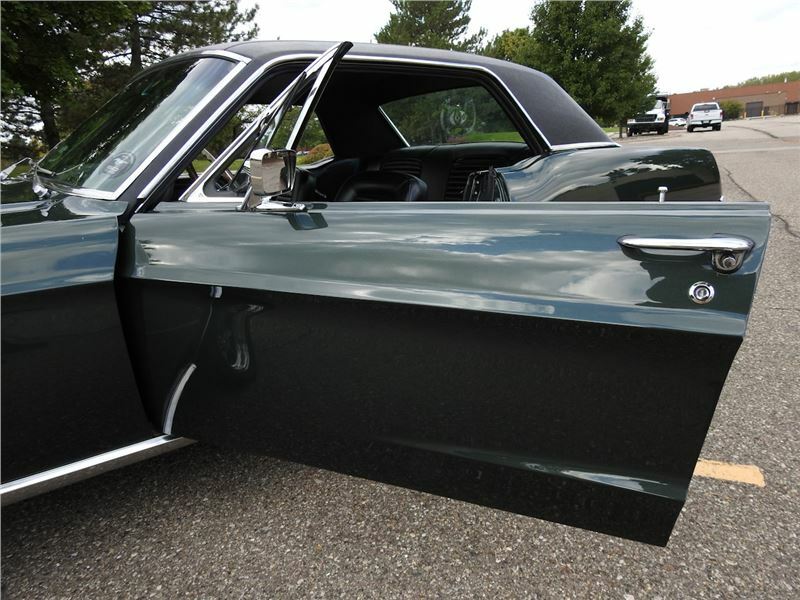 This classic is ready for the cruising season, with a black vinyl top that is a perfect match with the Dark Moss paint. 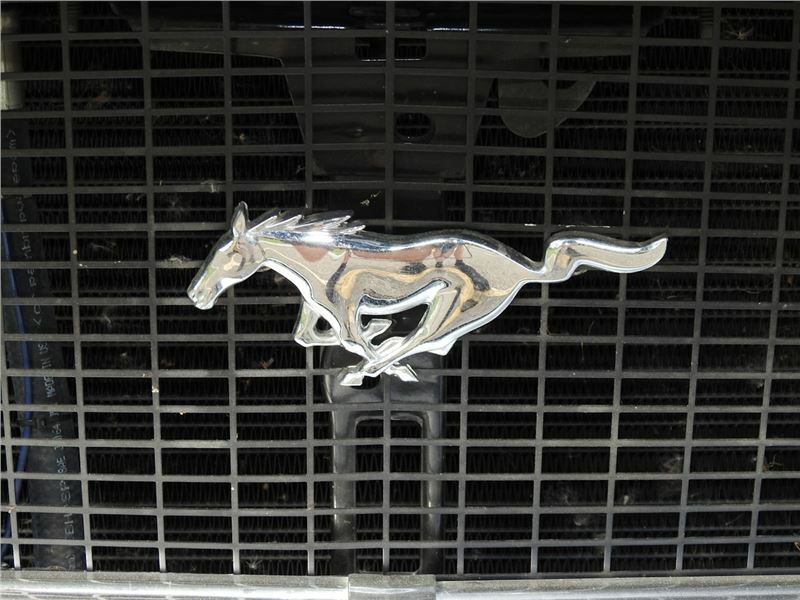 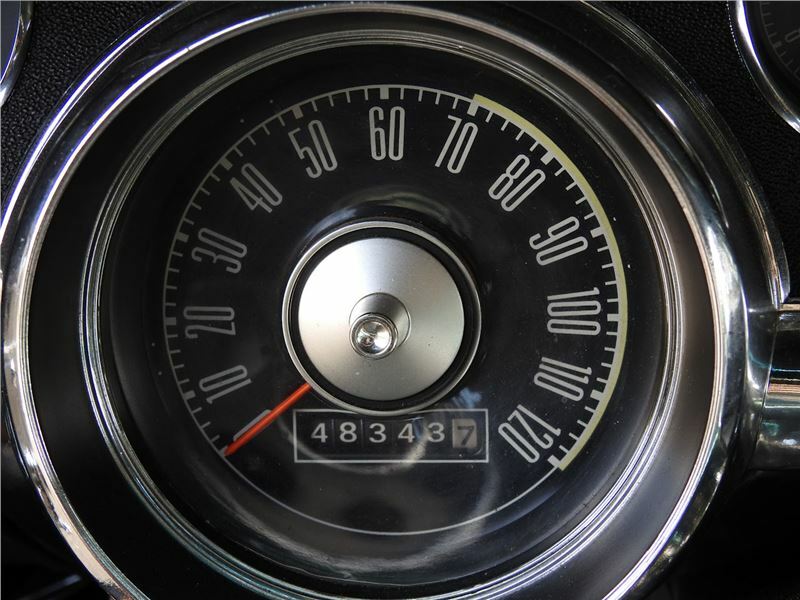 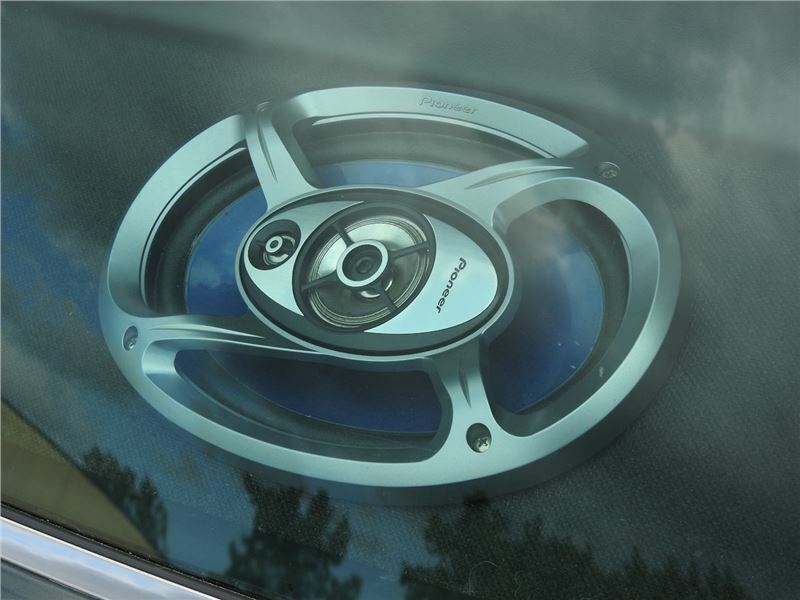 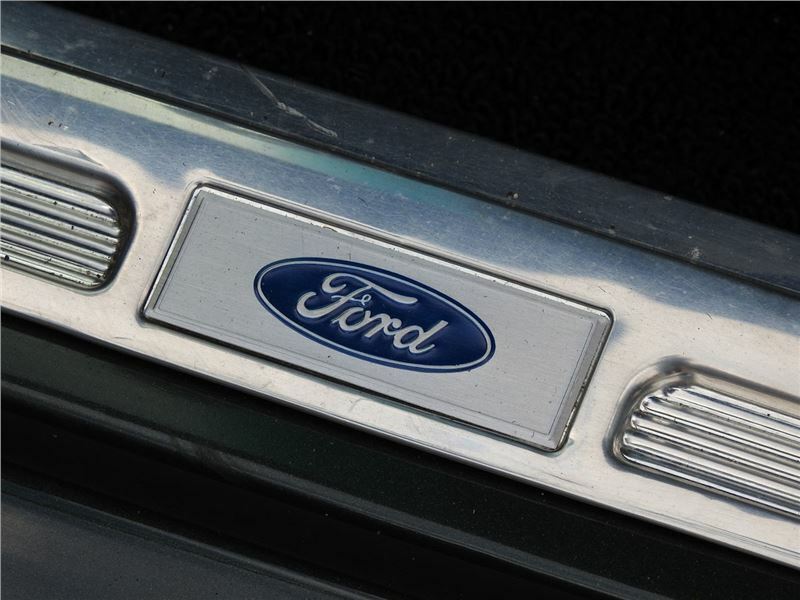 In the world of classic cars, there is nothing more widely-known than the iconic Ford Mustang. 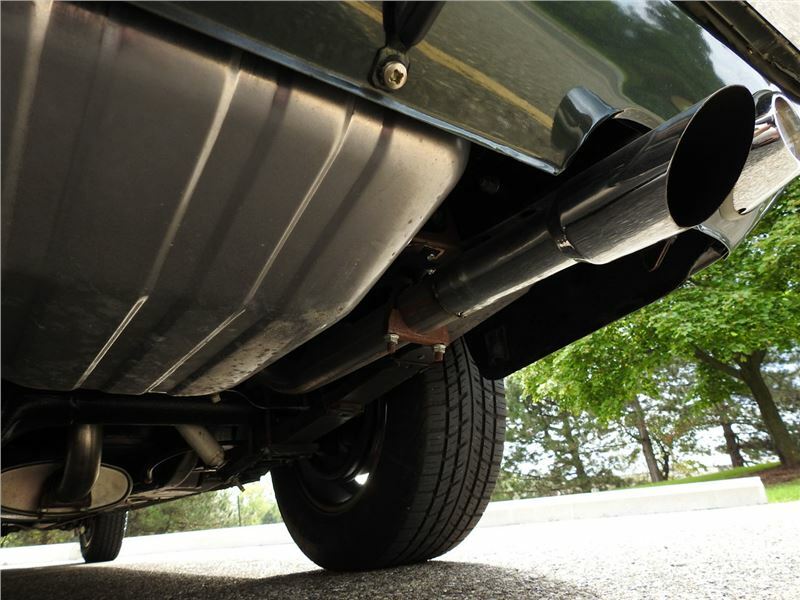 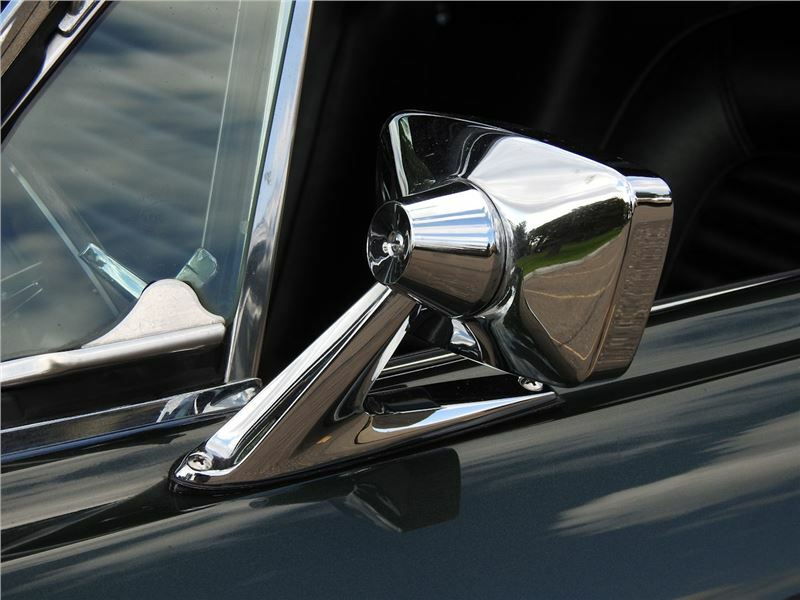 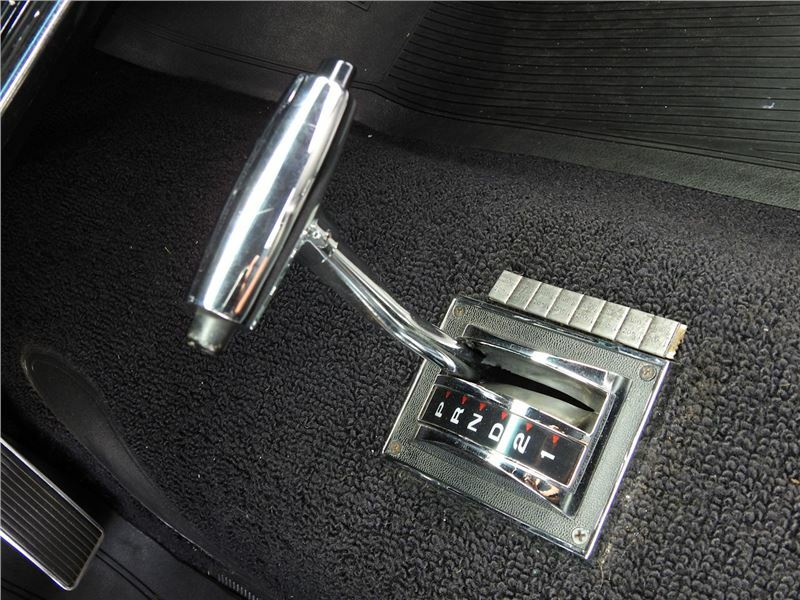 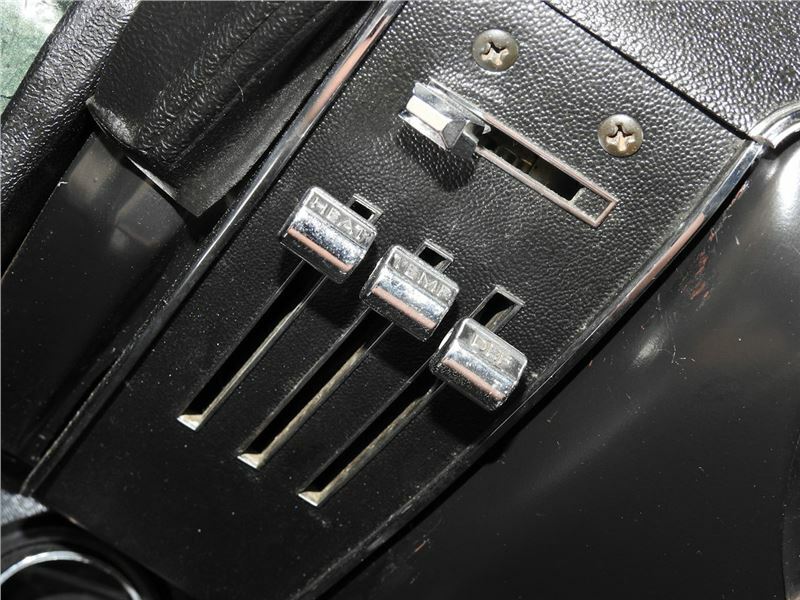 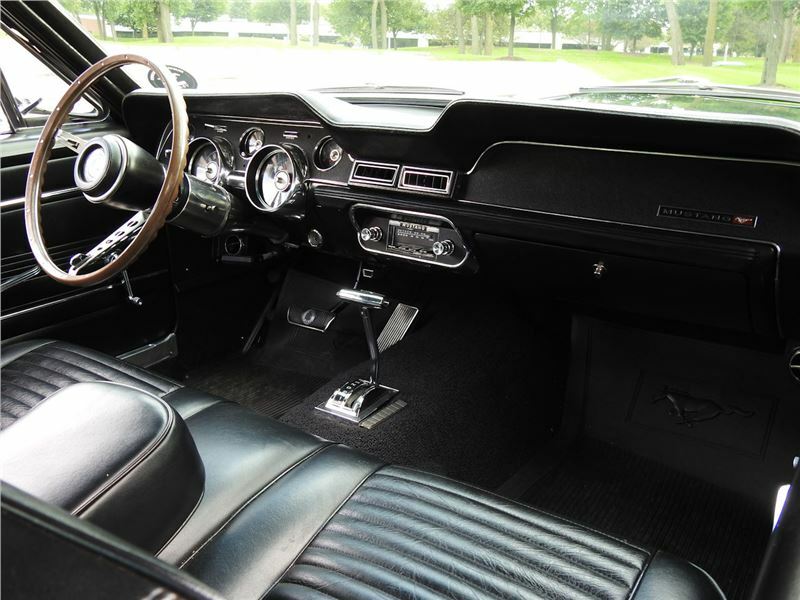 In fact, these were among the first cars that started the muscle car craze, inspiring other manufacturers to join the frenzy, leading to the creation of other timeless classics, like the Chevy Camaro. 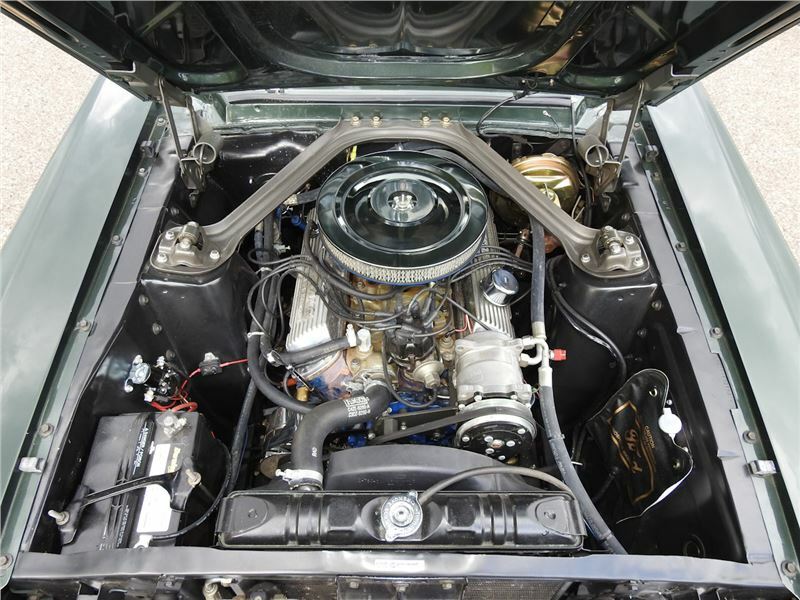 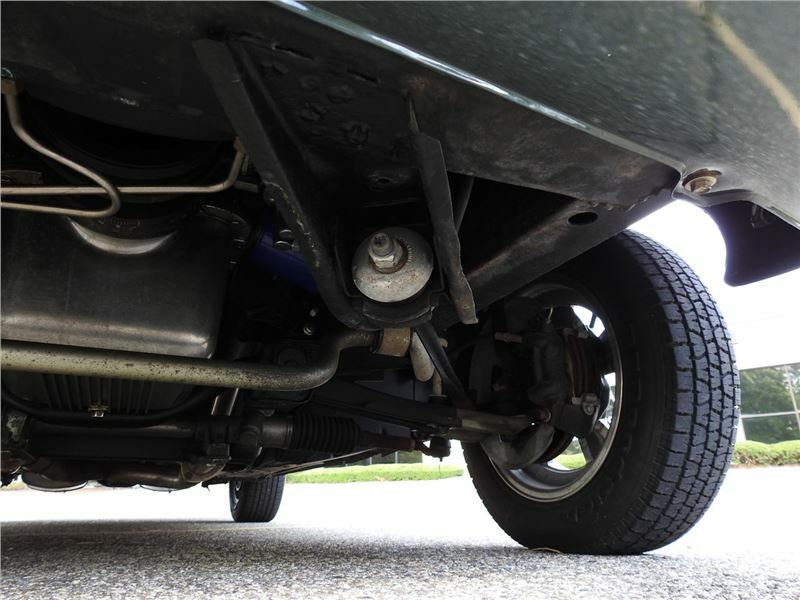 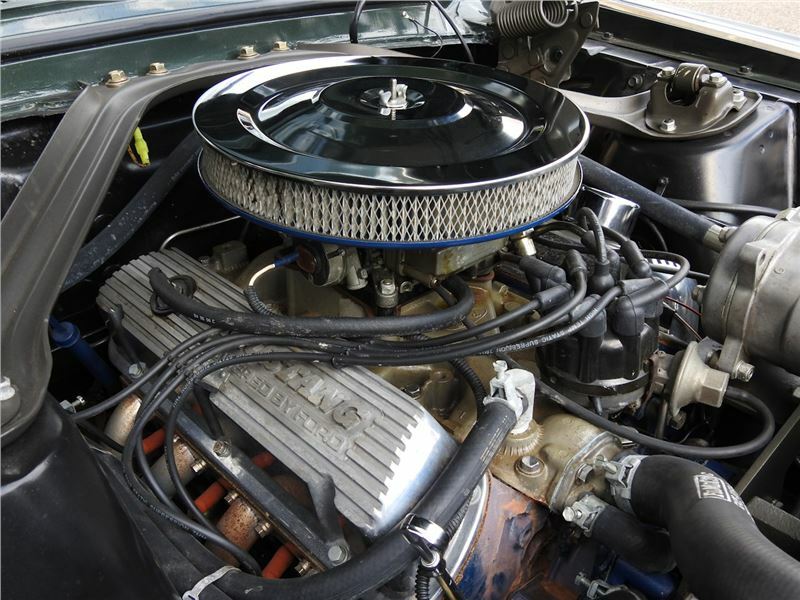 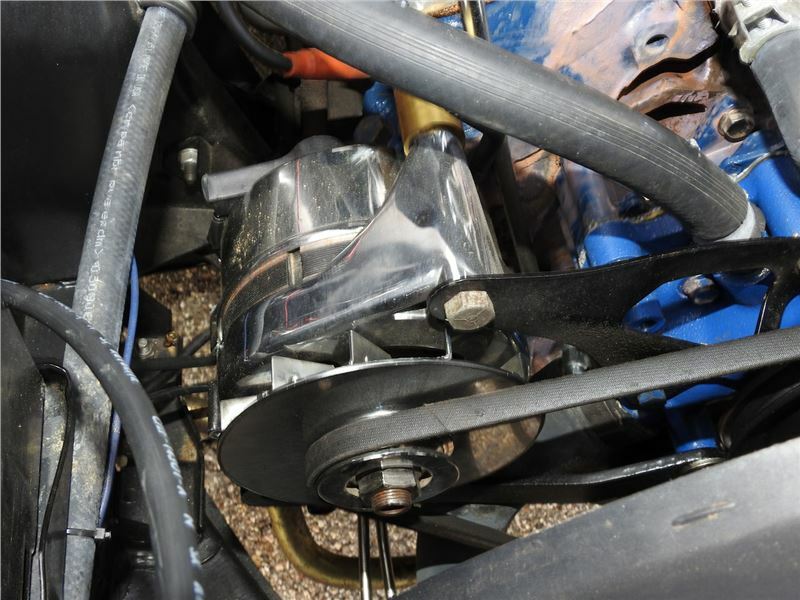 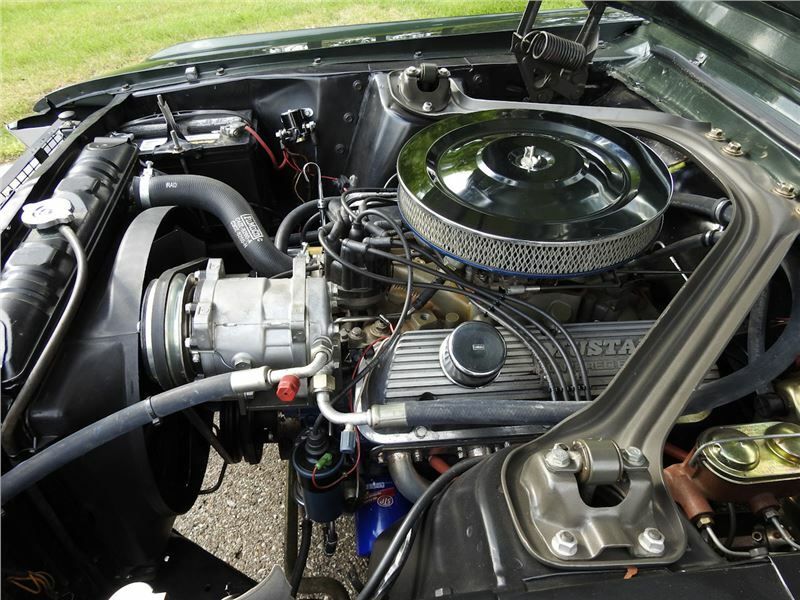 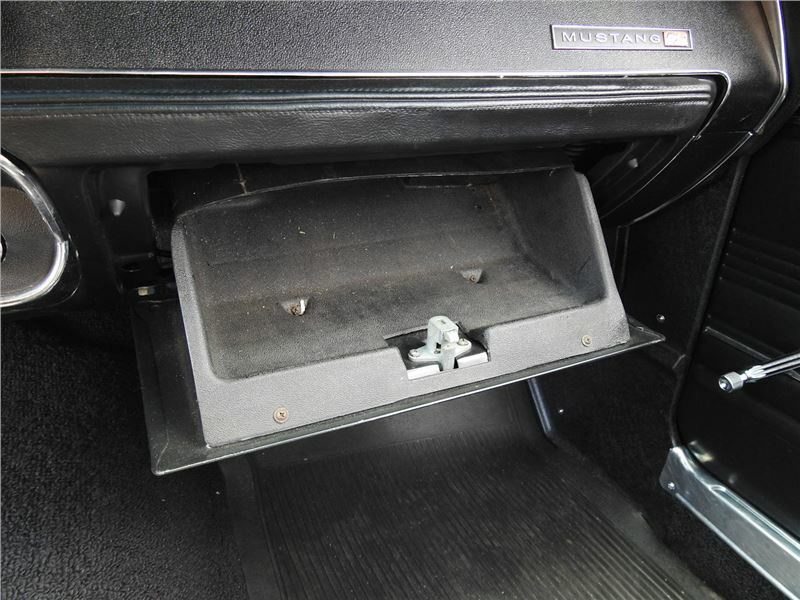 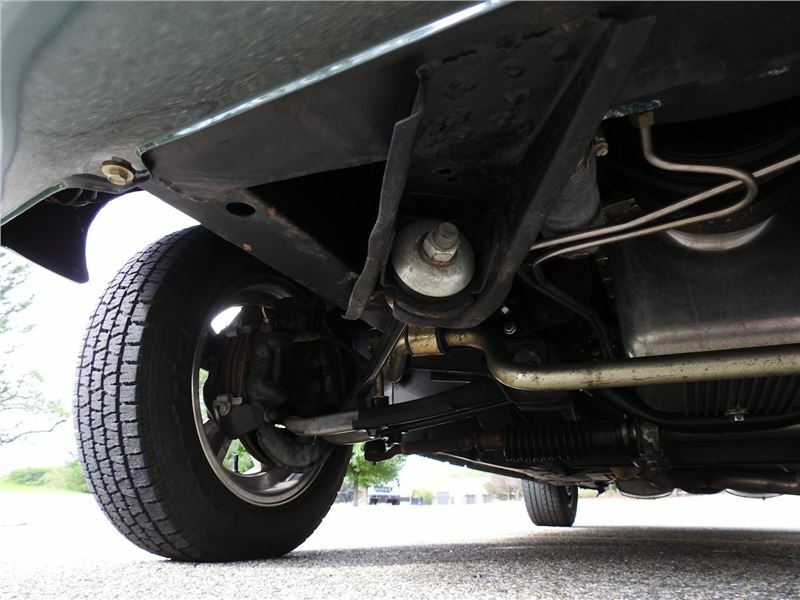 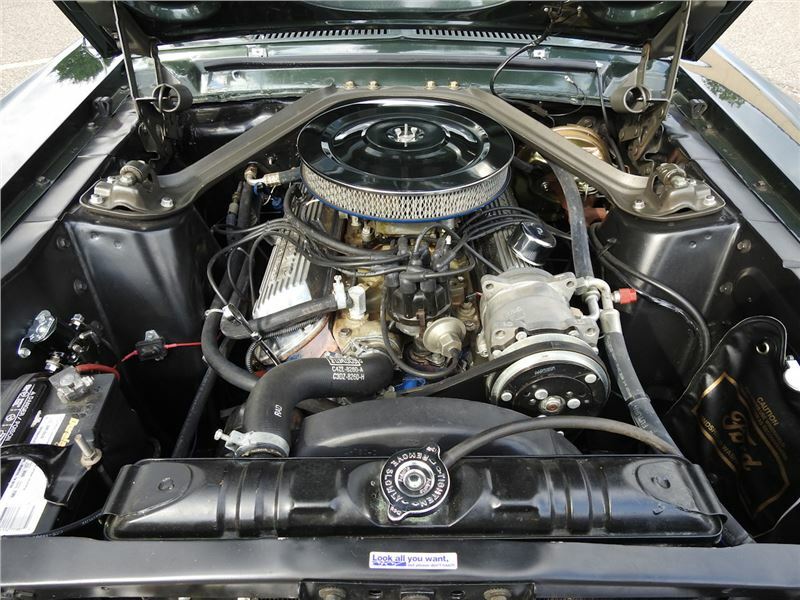 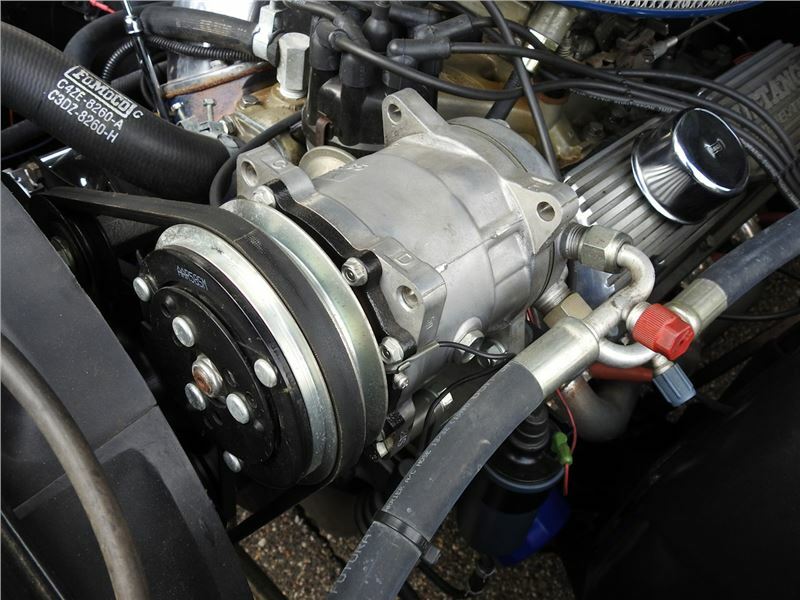 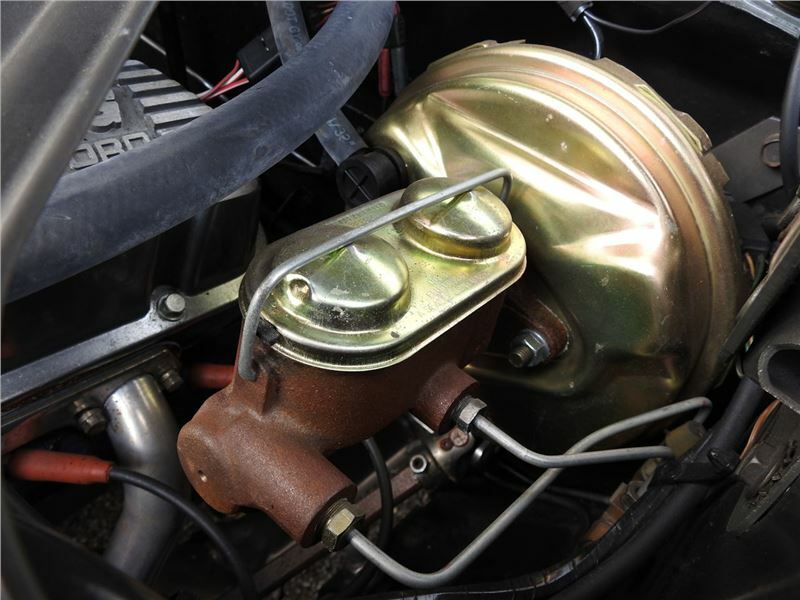 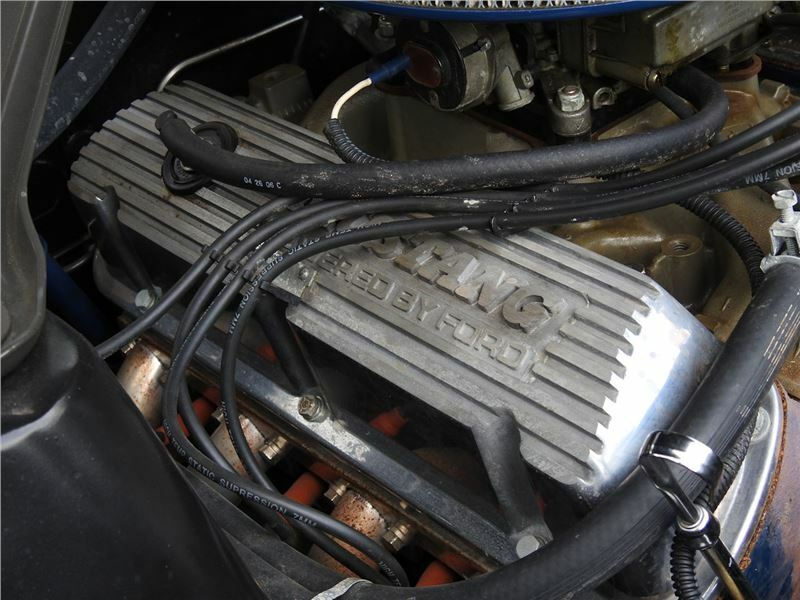 Under the hood of this C-Code pony car is a 302 CID V8 from a 1970 Torino that produces plenty of hp, paired with a C4 automatic transmission, and with the Flaming River rack and pinion steering, disc brakes, and lowered suspension you dont have to sacrifice comfort to look good! 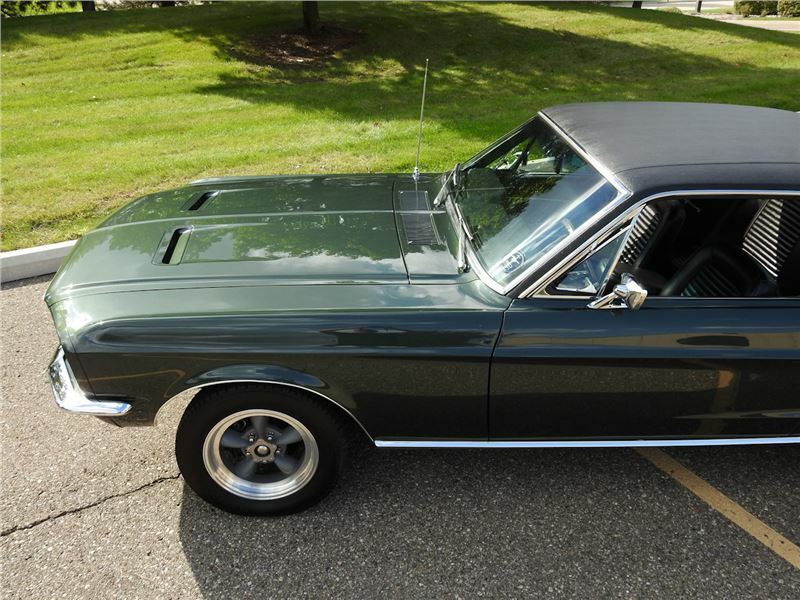 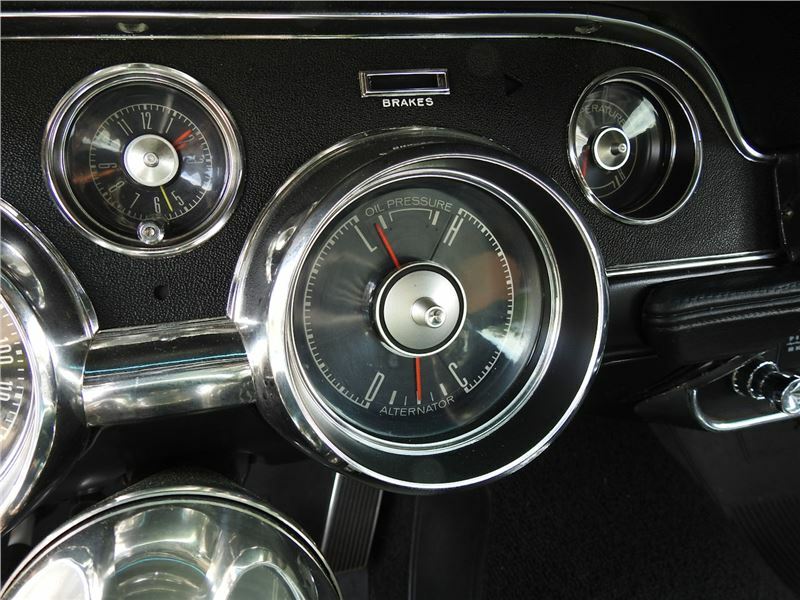 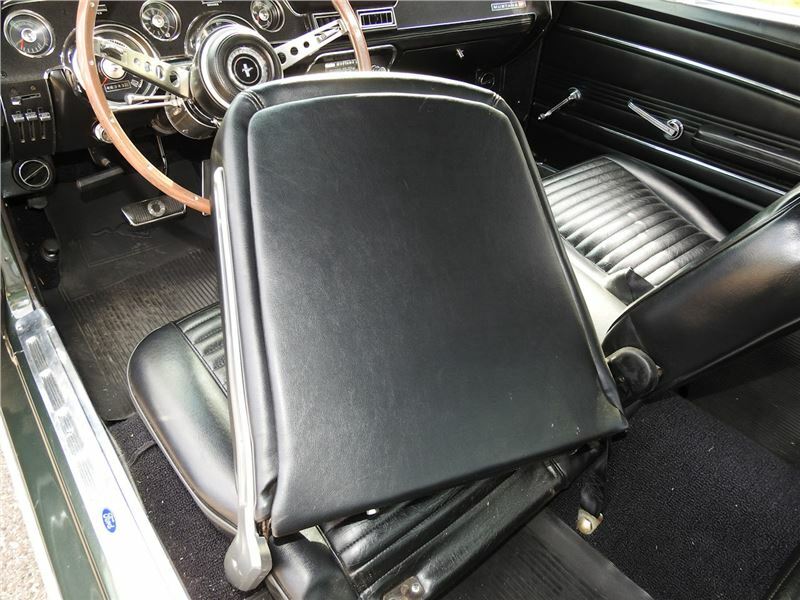 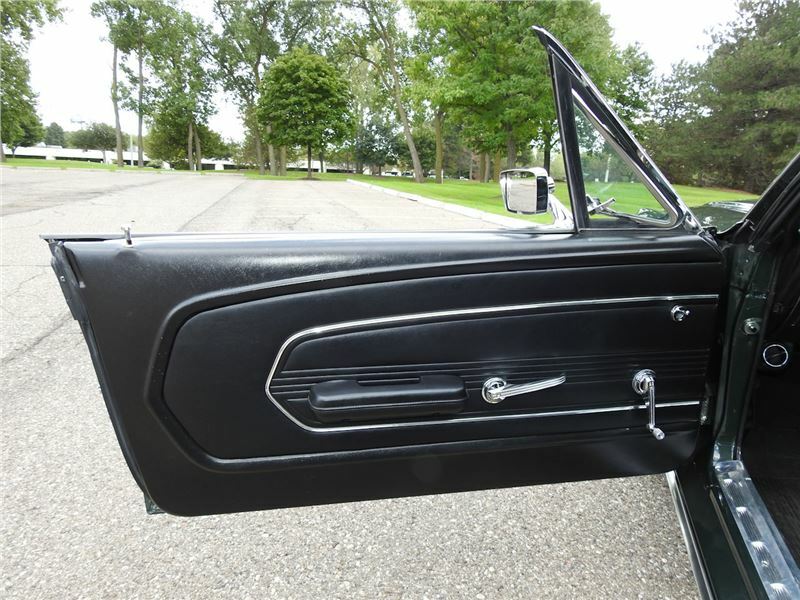 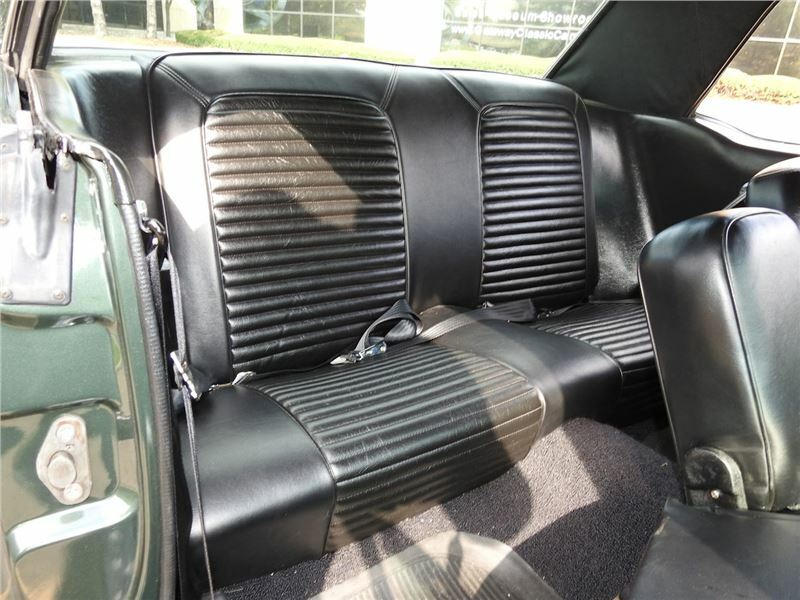 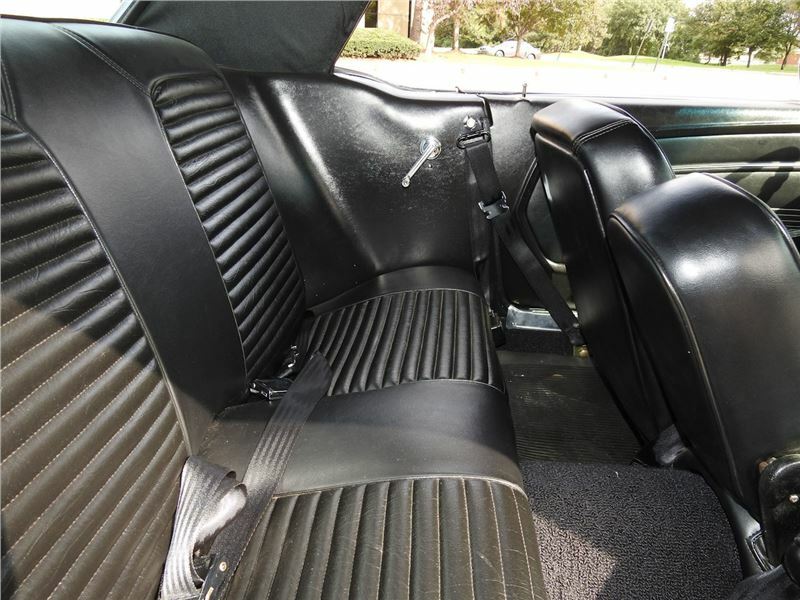 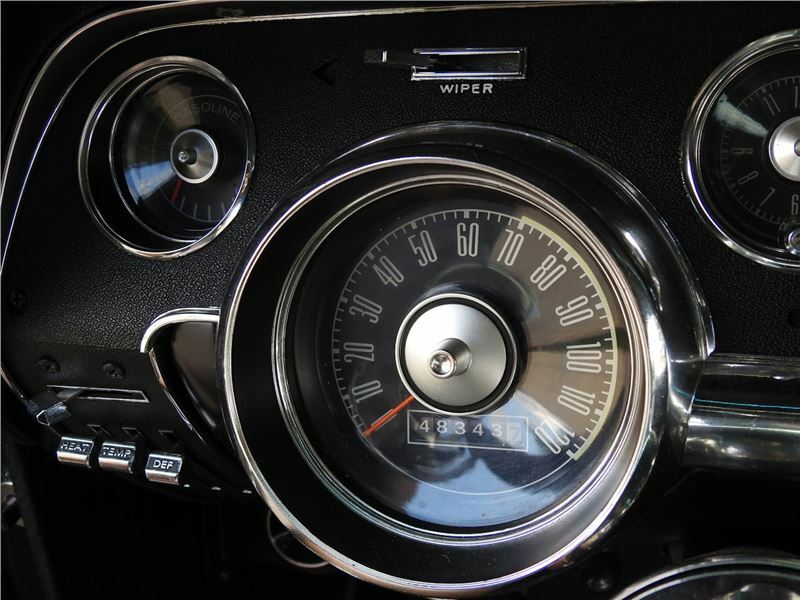 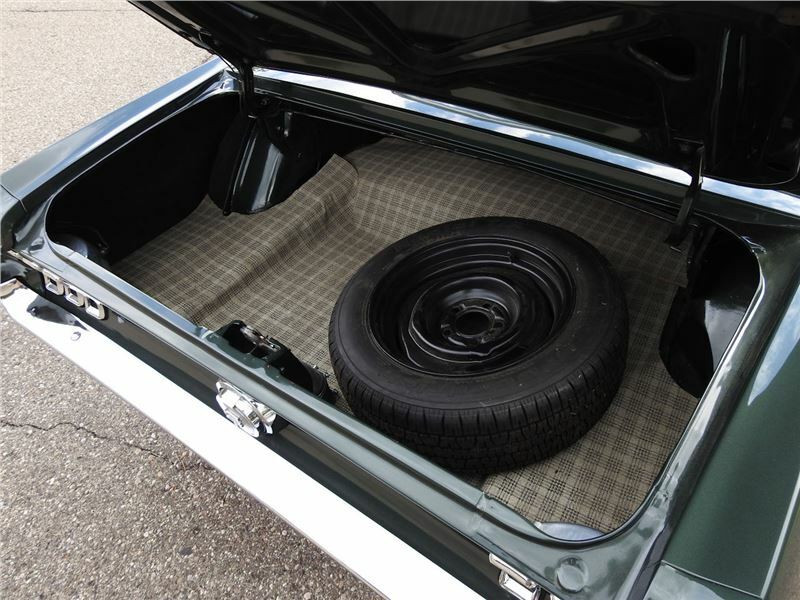 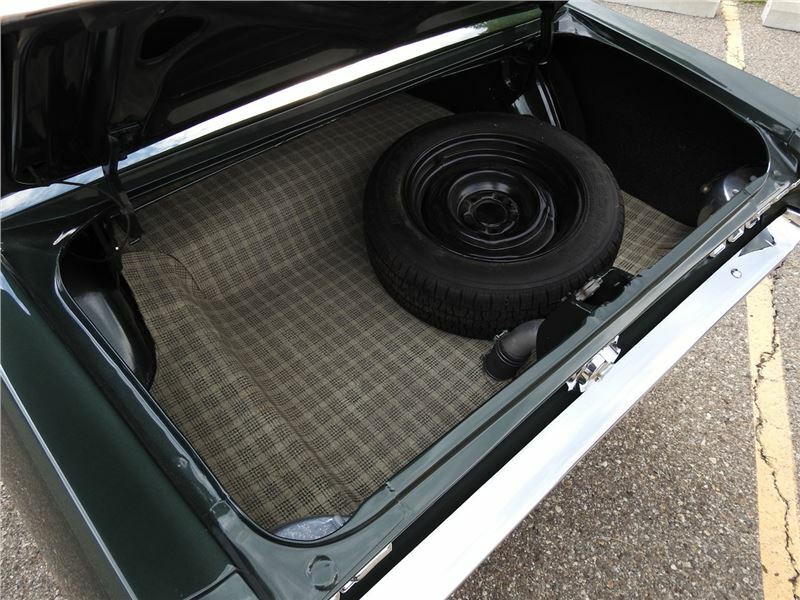 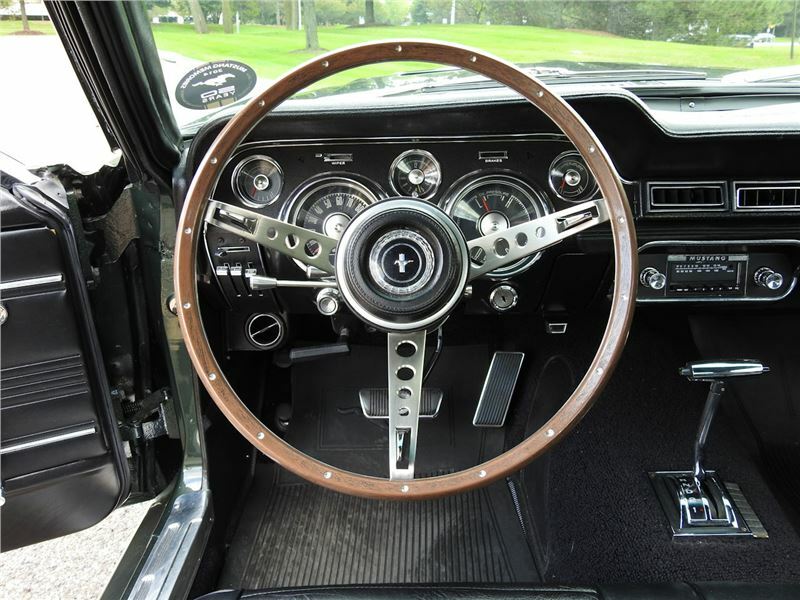 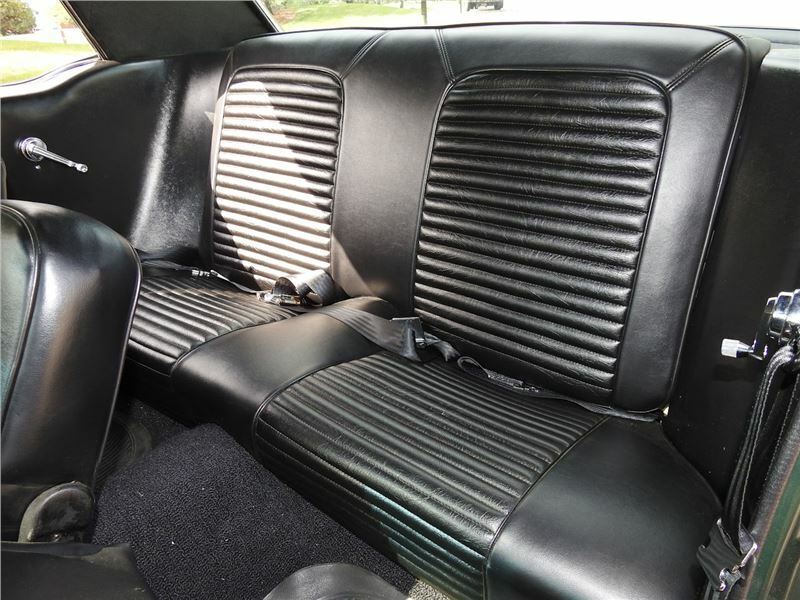 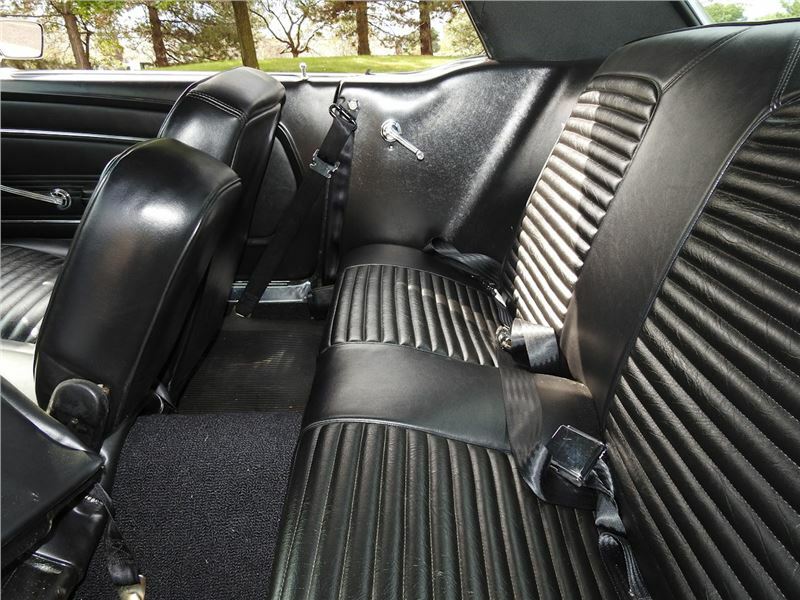 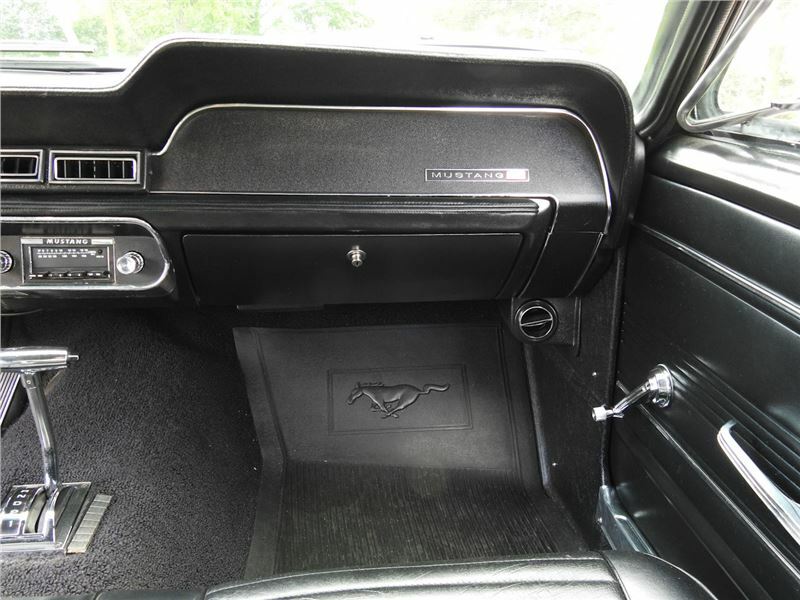 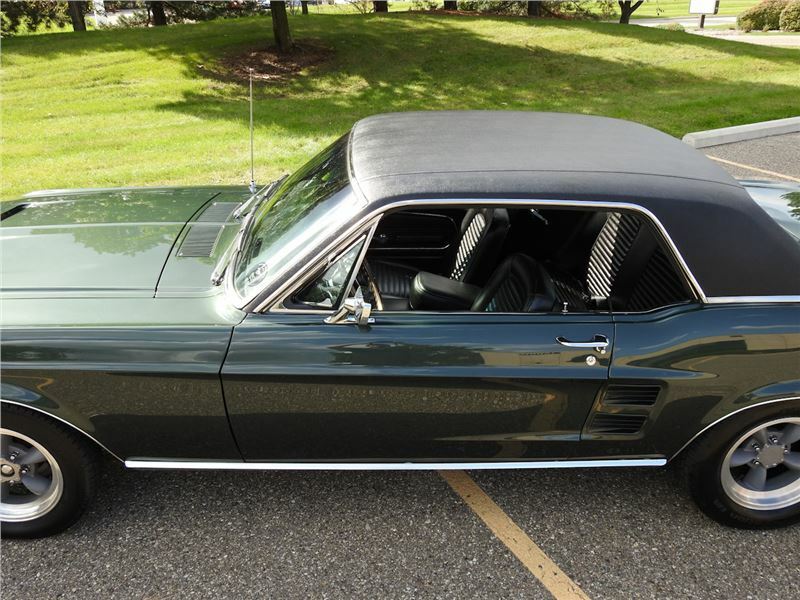 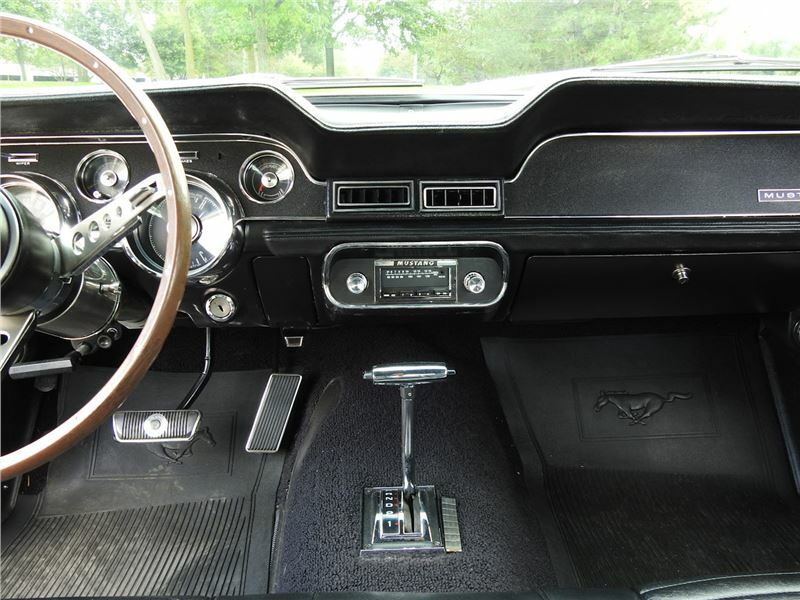 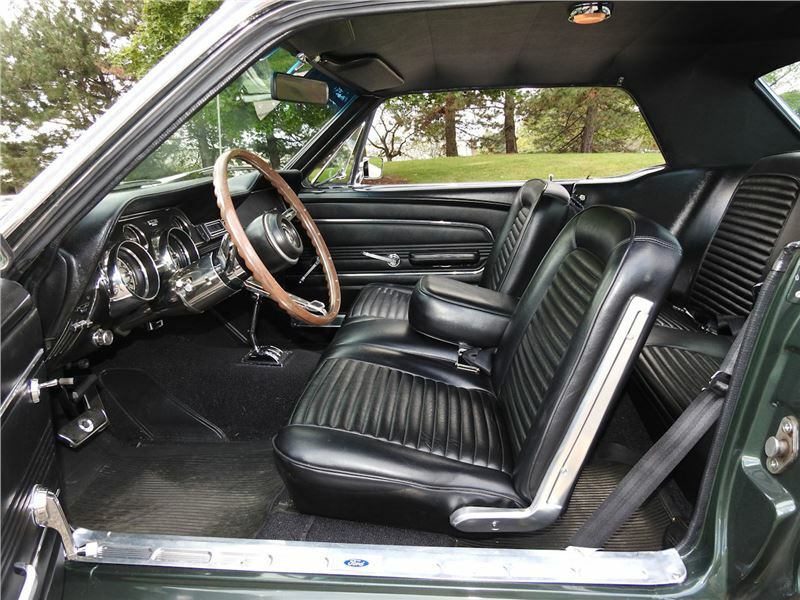 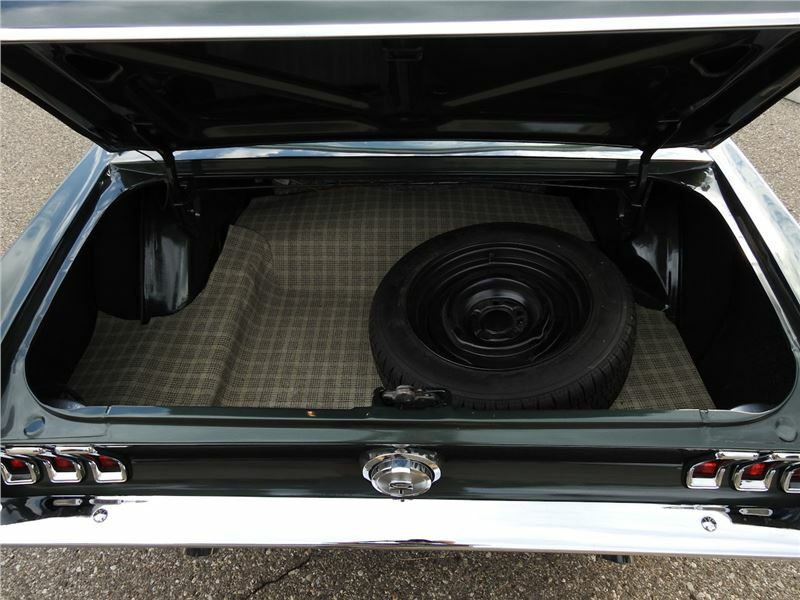 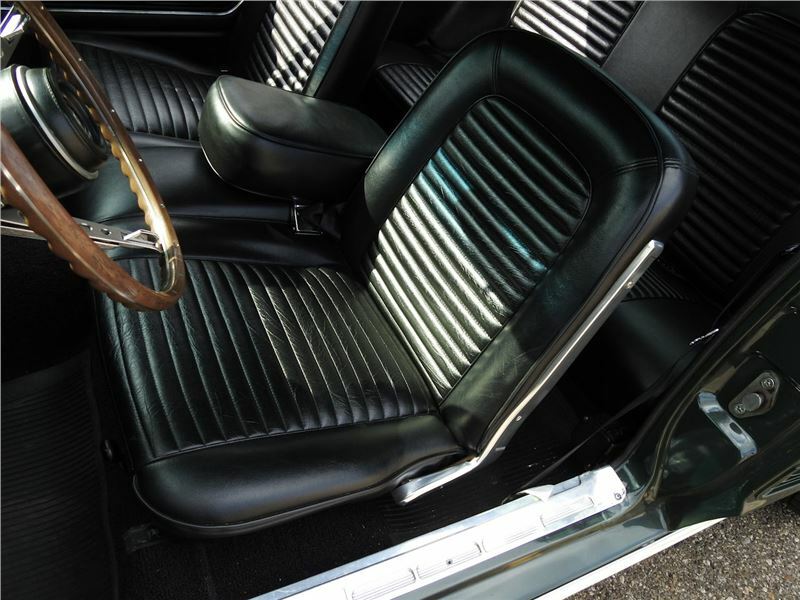 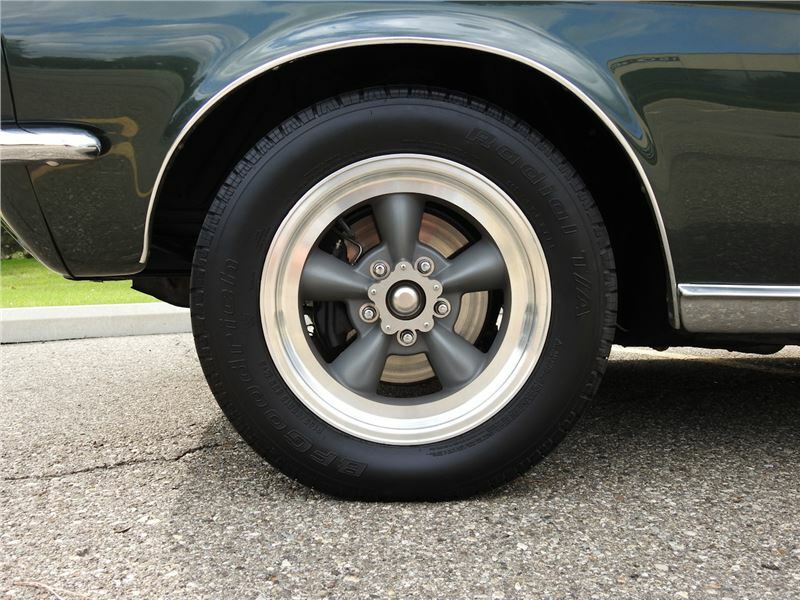 Options in this vintage Mustang include: AM/FM radio, power brakes, seat belts, vinyl interior, and bullitt styled aluminum wheels with radial tires. 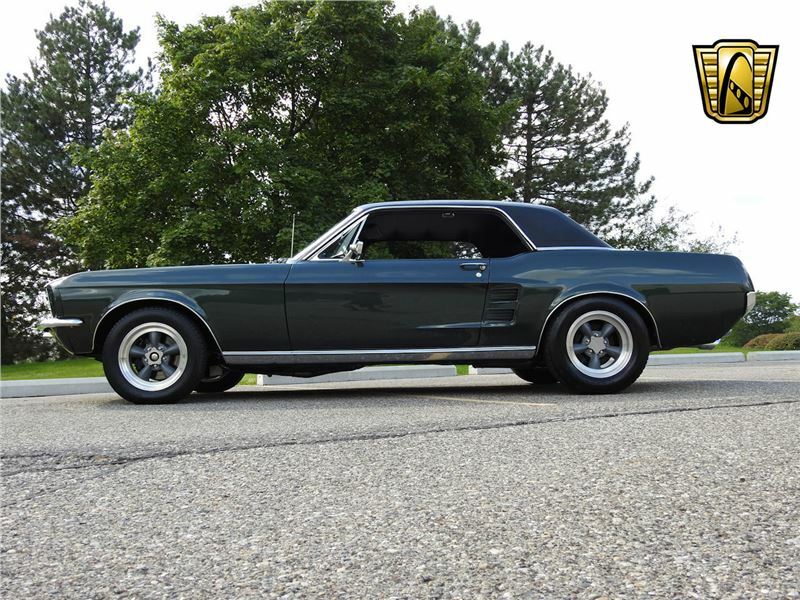 This classic Ford is the epitome of the American dream, and with a vinyl top, great paint, and a powerful V8 under the hood, it is impossible to not get noticed cruising around in this car! 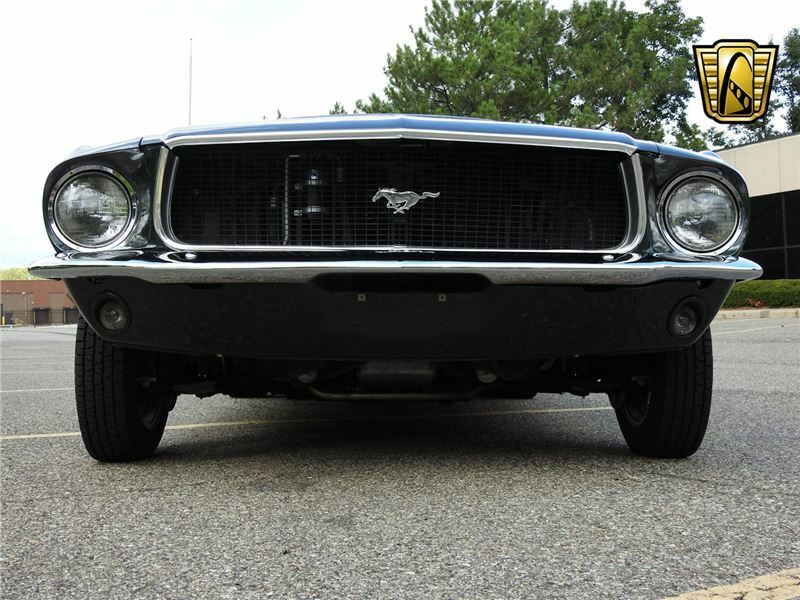 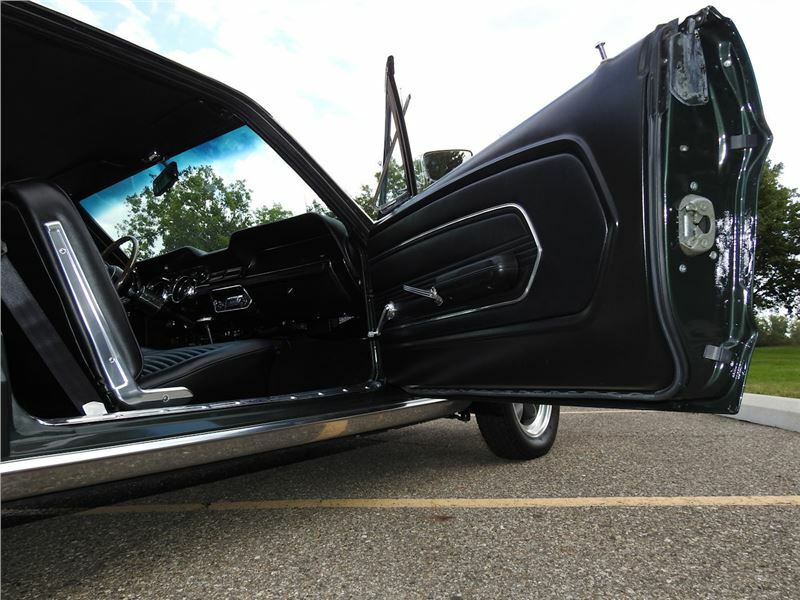 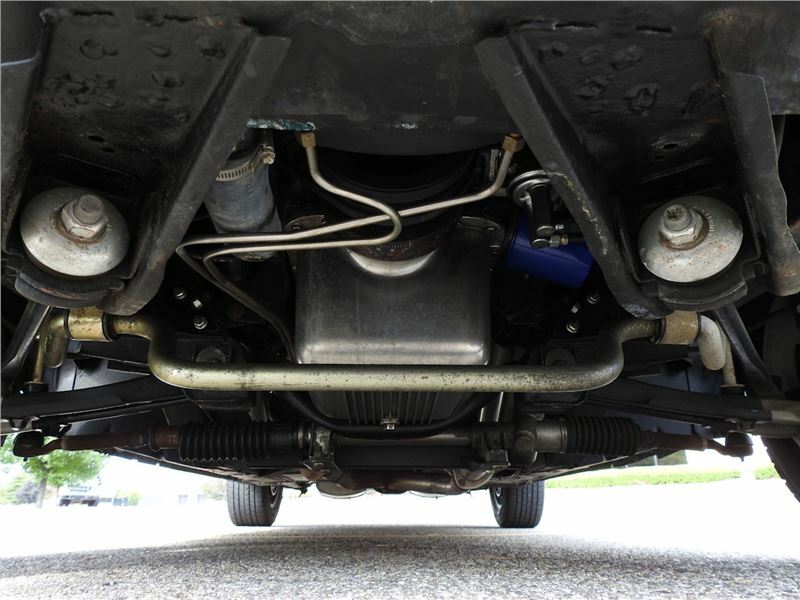 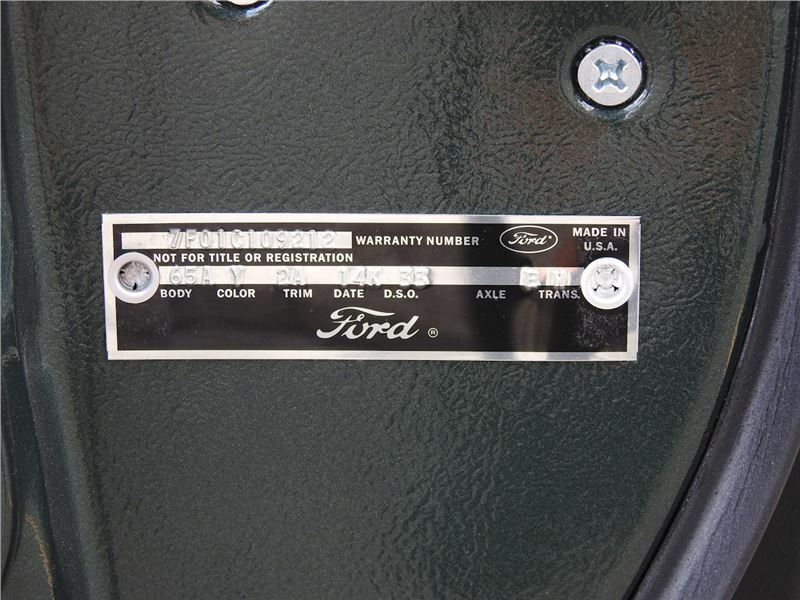 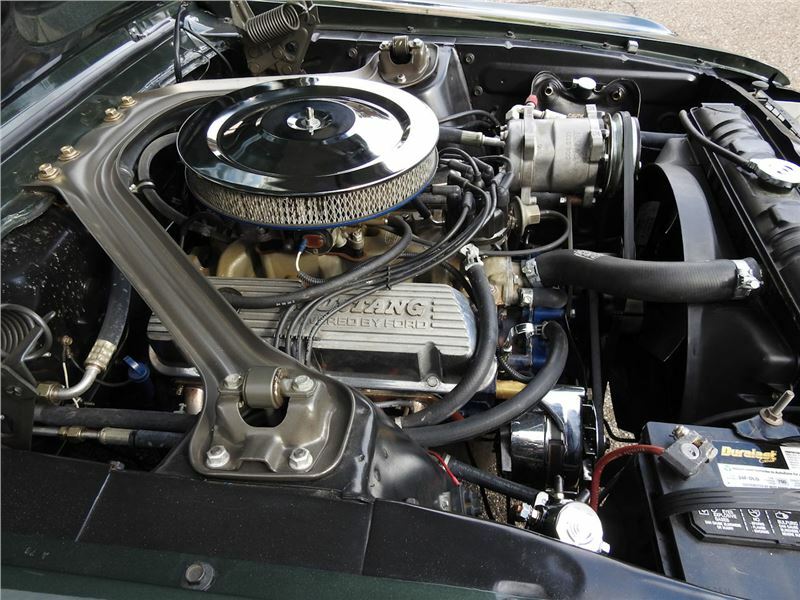 This fantastic Ford can be viewed in greater detail, with more HD photos and video, at www.GatewayClassicCars.com. 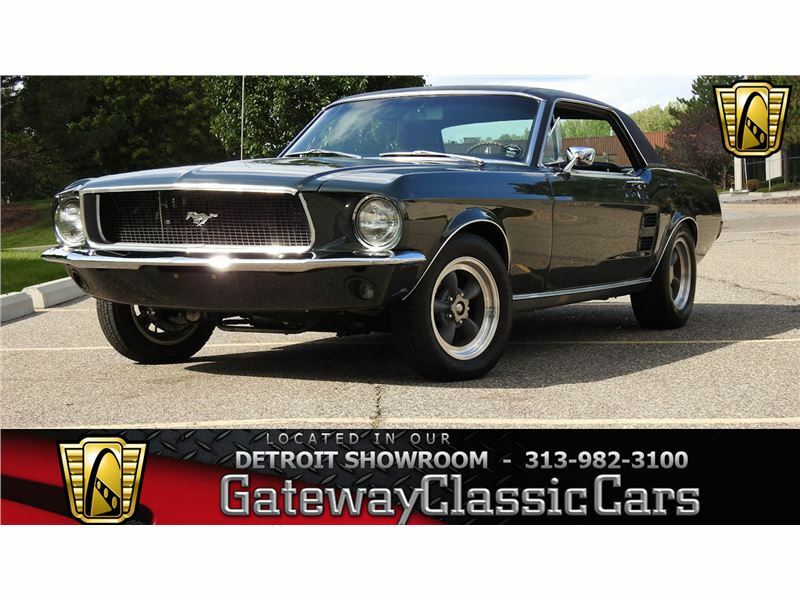 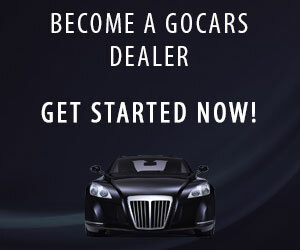 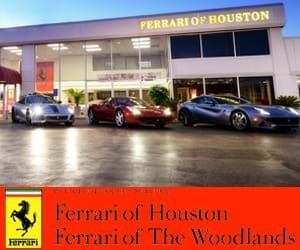 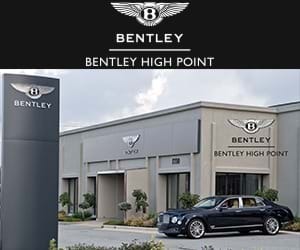 Please visit our showroom, or call (313)-982-3100 for more information.